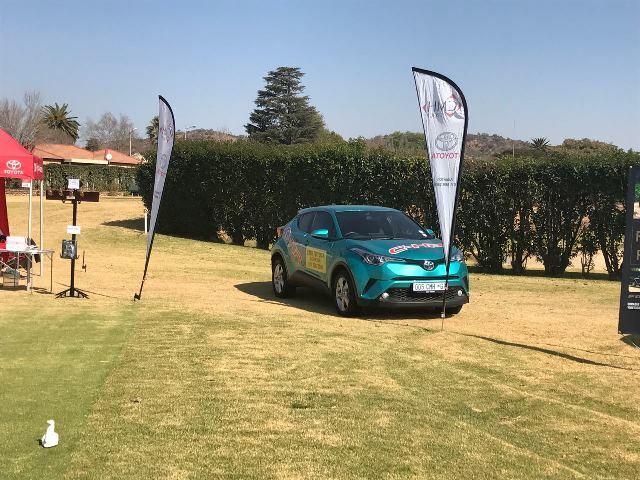 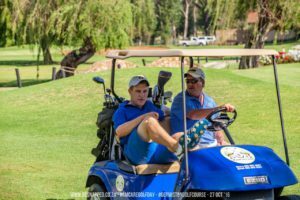 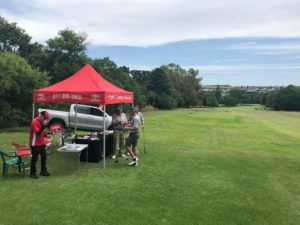 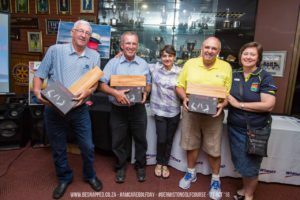 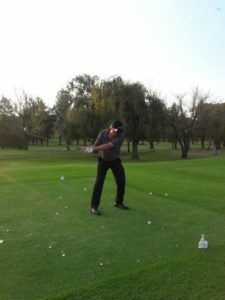 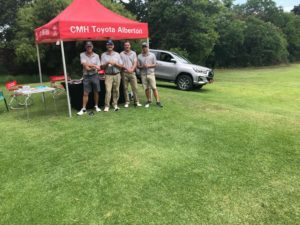 CMH Toyota Alberton sponsored Hole 17 at the Reading Golf Club for Amcare centre of Faith, Hope and Love on the 28 June 2017. 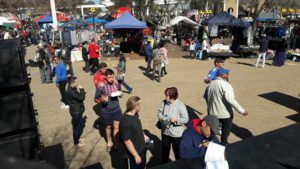 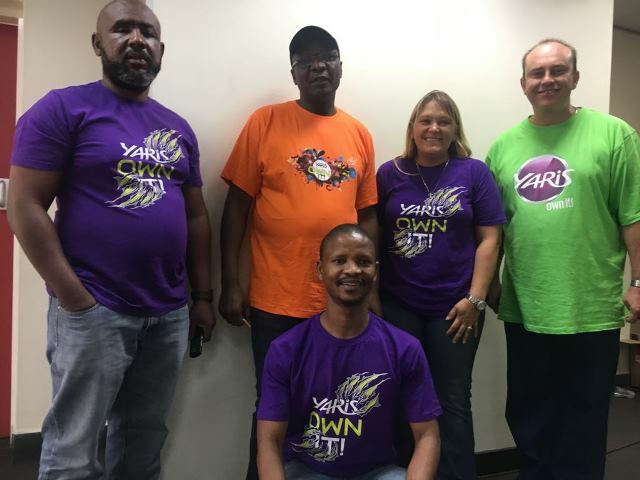 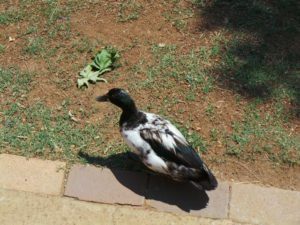 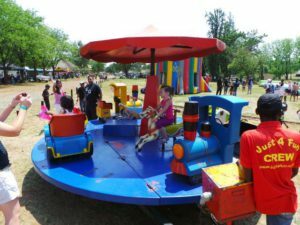 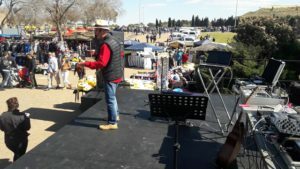 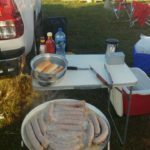 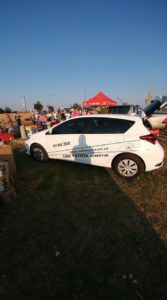 AMCARE is a multi-purpose health and social development organization servicing poor and vulnerable persons in the Greater Alberton area of Ekurhuleni. 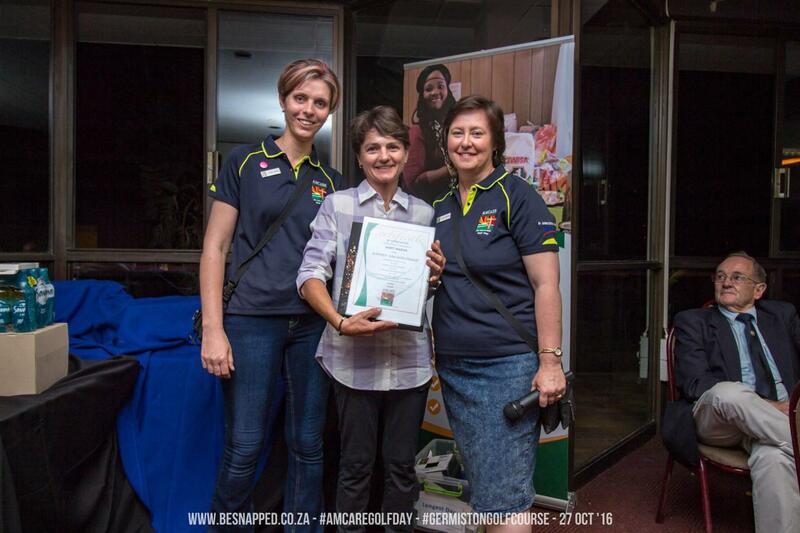 Each year Amcare strives on impacting and changing individuals and families lives towards a positive lifestyle, the triple effects are ever so possible in the community. 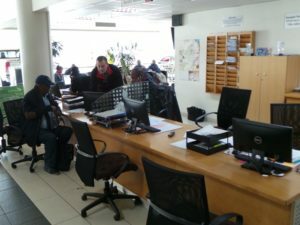 Rendering the following services to the community; Supplying 350 Food parcels on a monthly basis, a holistic home based care service to elderly and bedridden clients over 87 years of age, 4 week training programme in catering at a minimal registration and facilitation fee, professional social work services to victims of domestic violence, people affected and infected by HIV/Aids and elderly clients and much more. 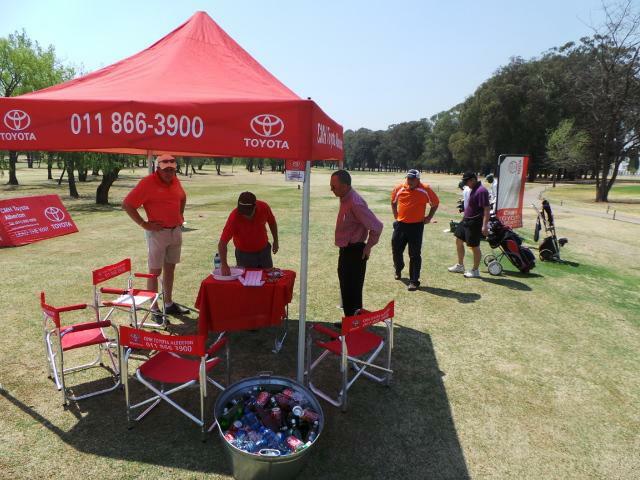 Hole 17 was truly the most fun hole for Golf players to stop by and get free cold drinks and snacks, they also stood a chance to win great prizes by completing their names in a draw. 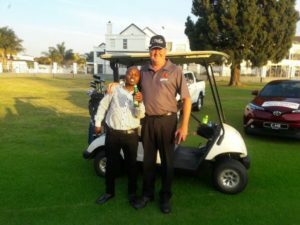 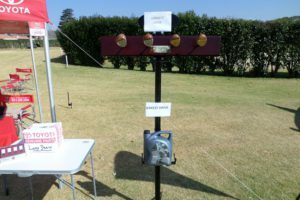 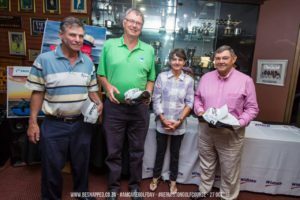 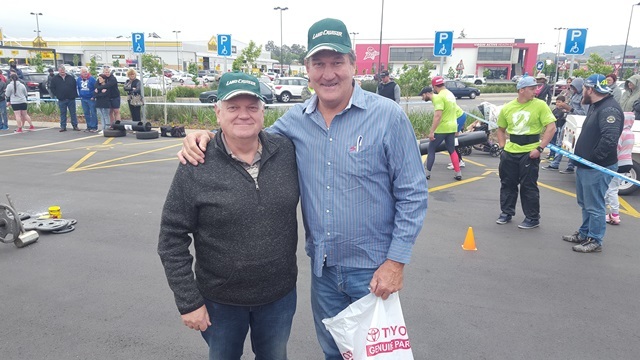 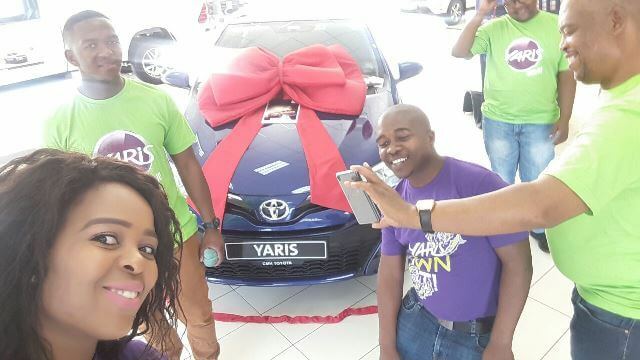 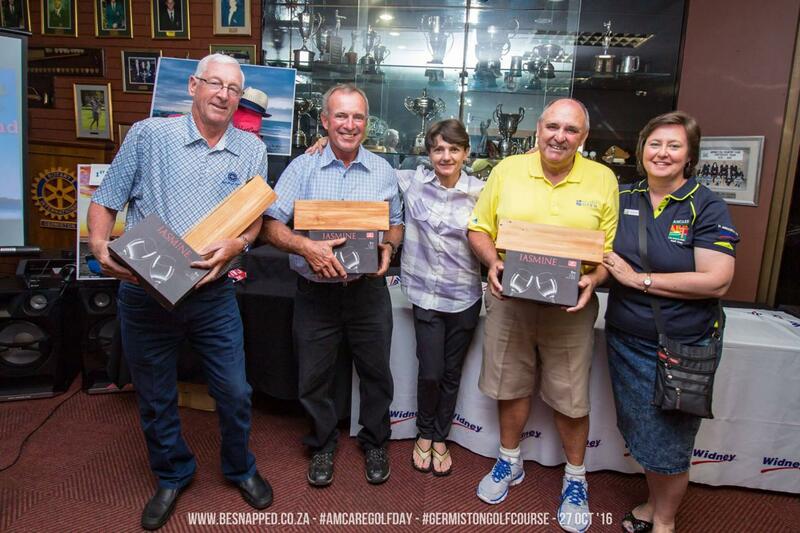 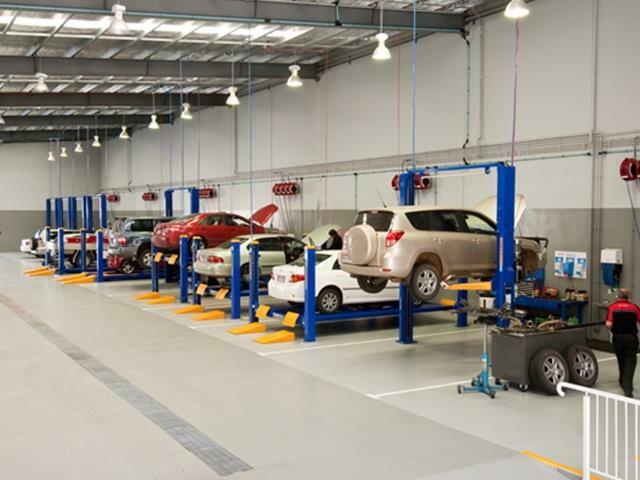 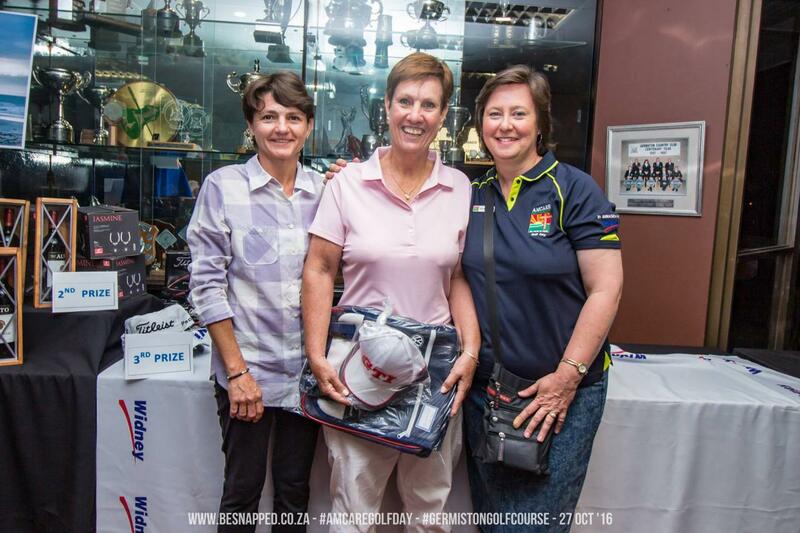 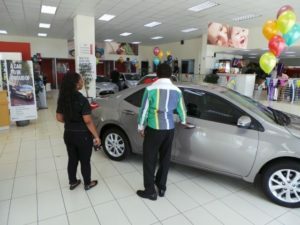 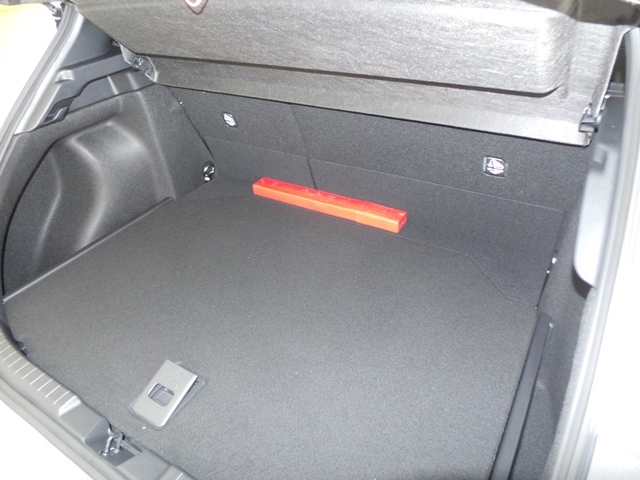 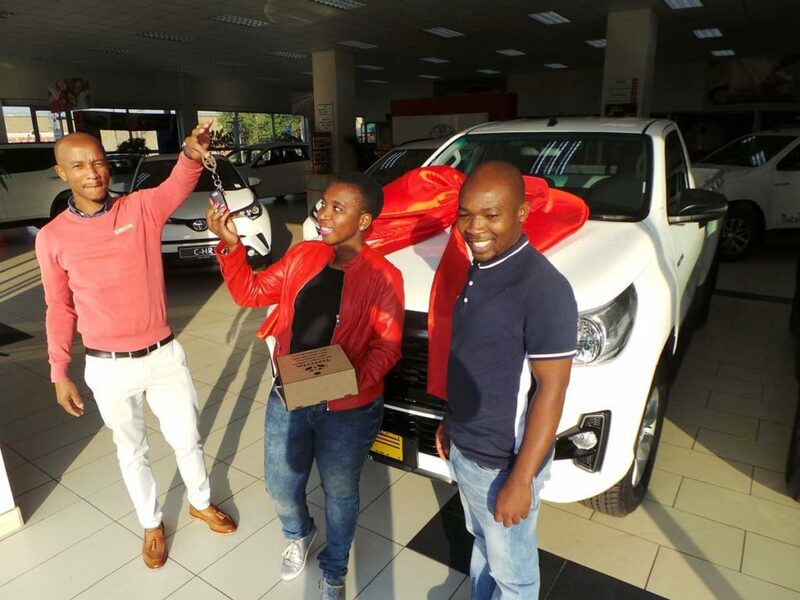 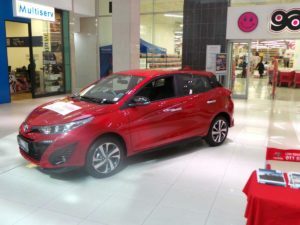 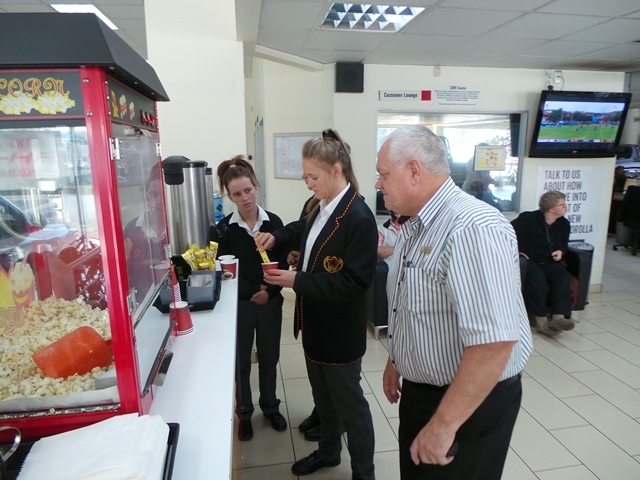 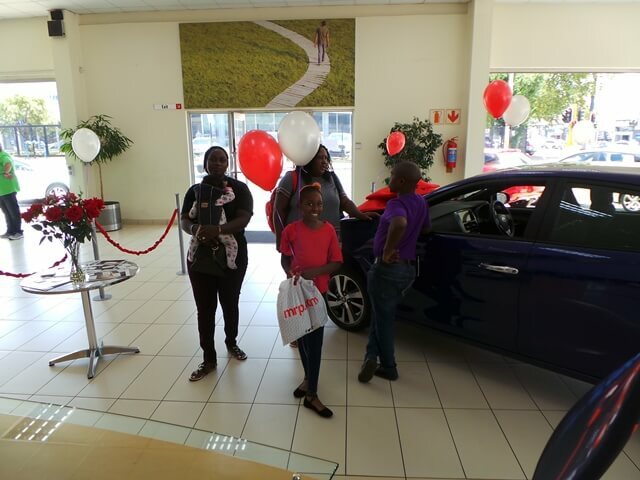 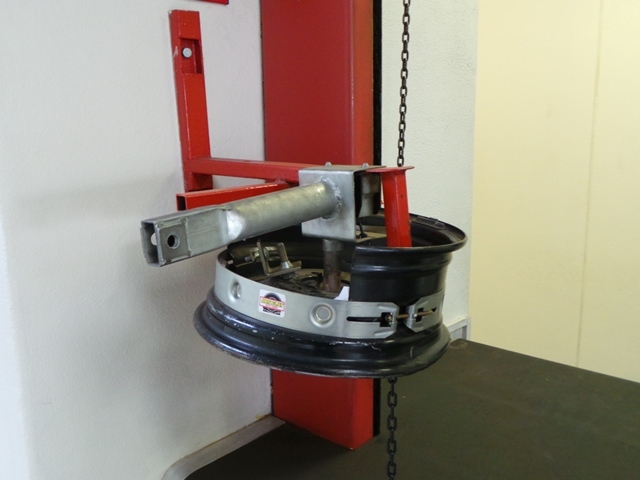 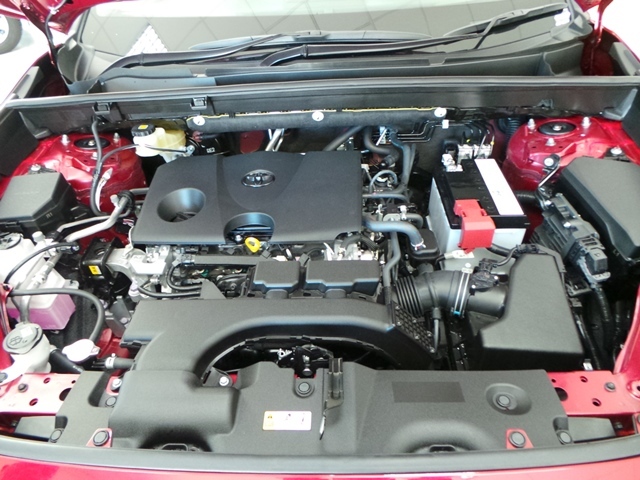 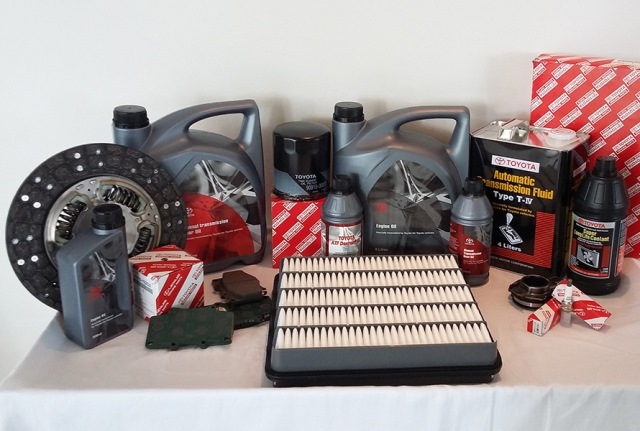 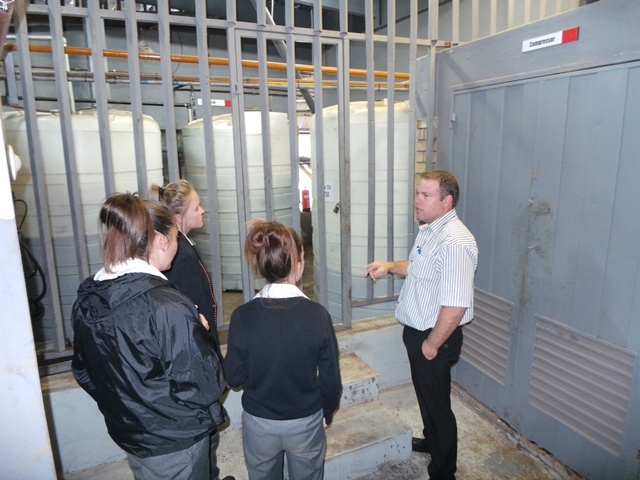 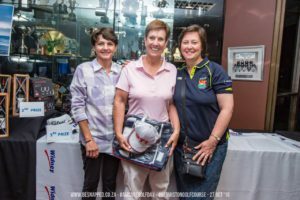 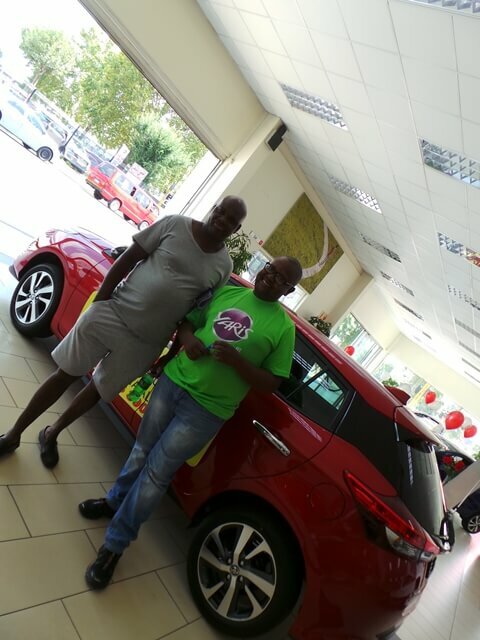 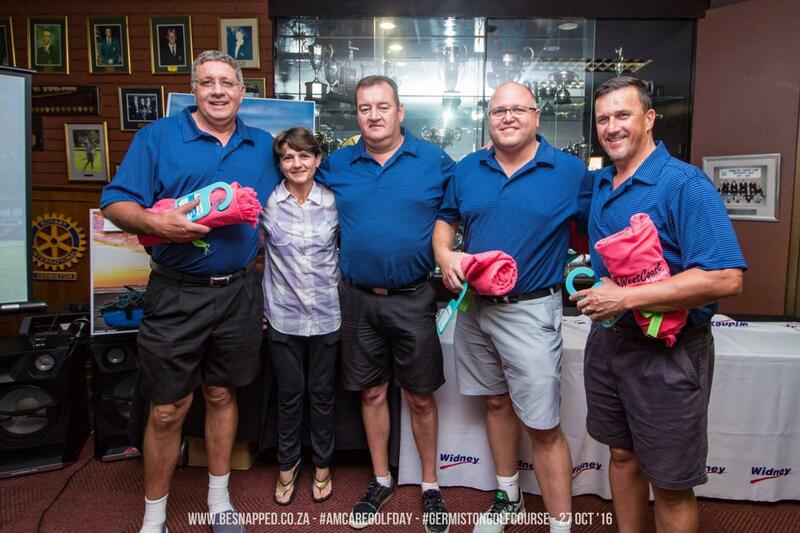 The winners were able to walk away with a Golf stand, set of Golf balls or a 2-litre oil. 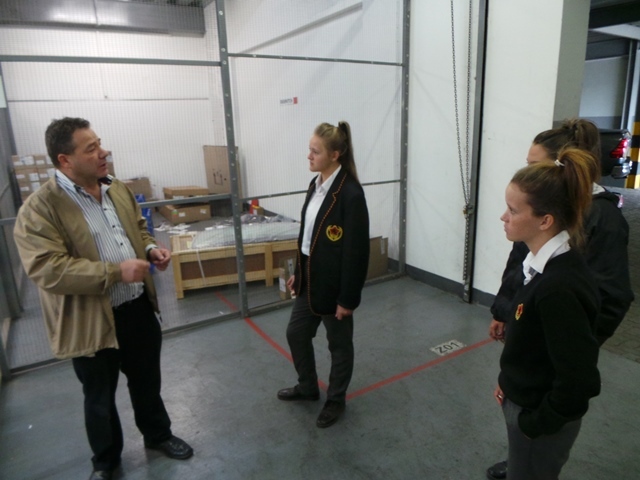 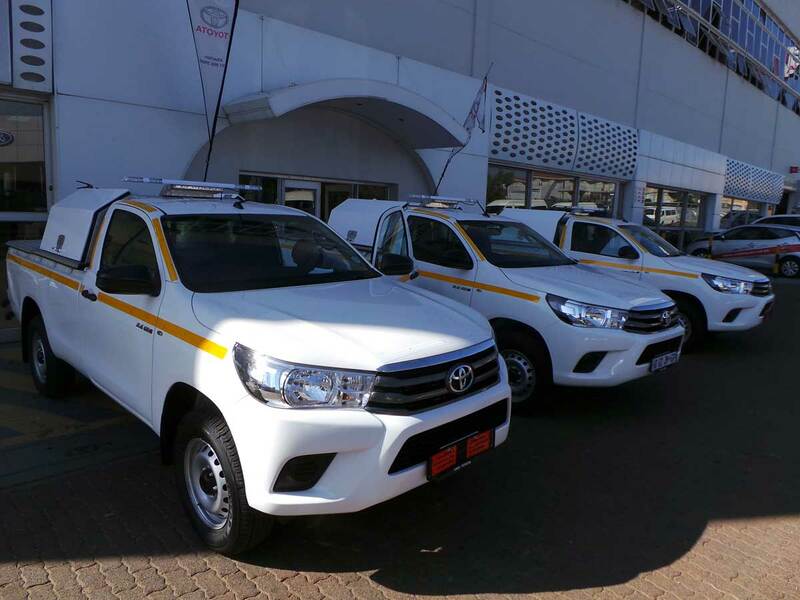 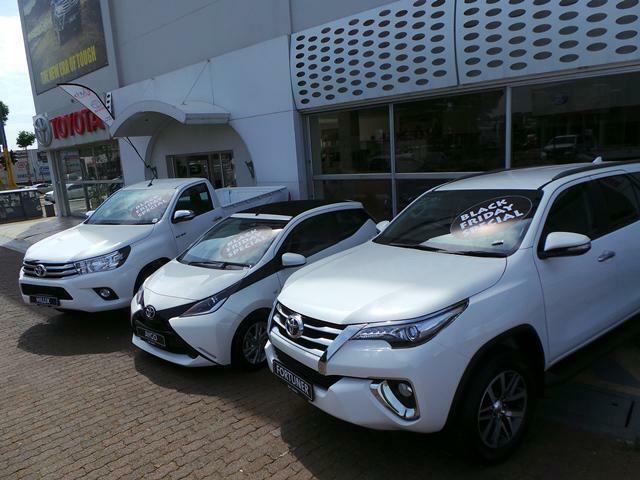 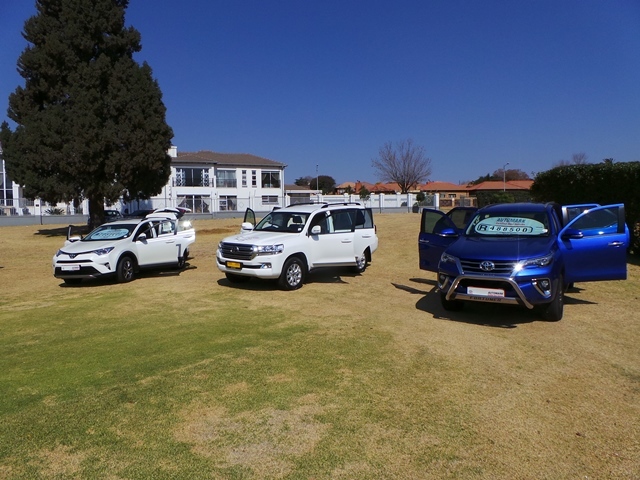 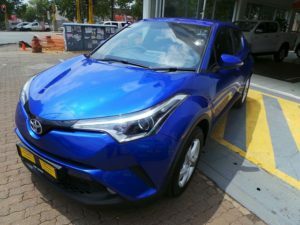 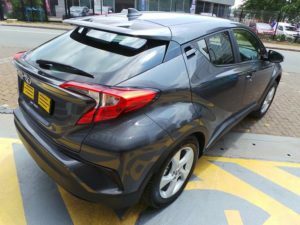 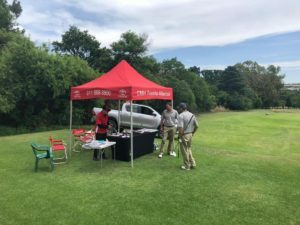 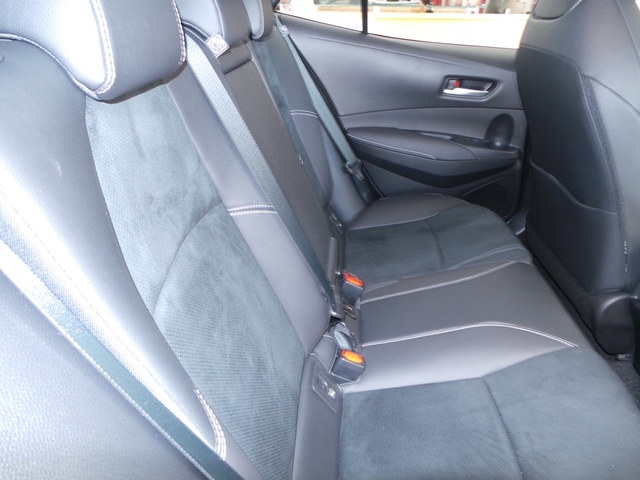 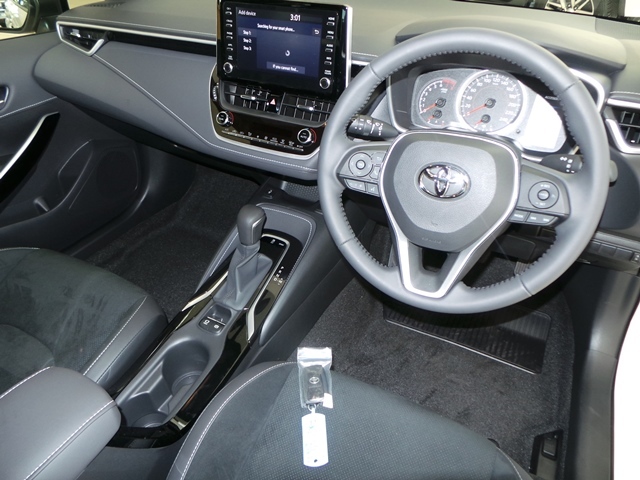 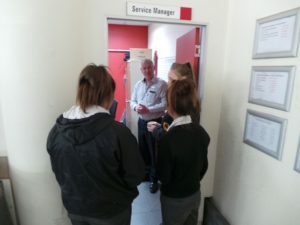 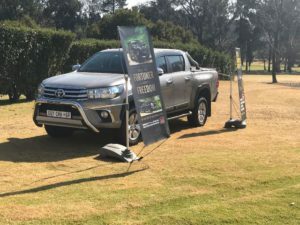 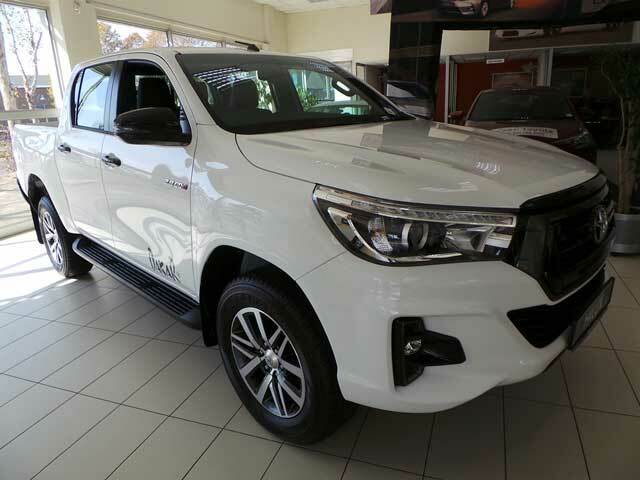 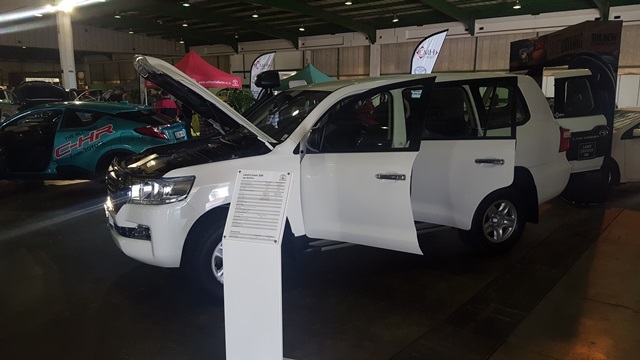 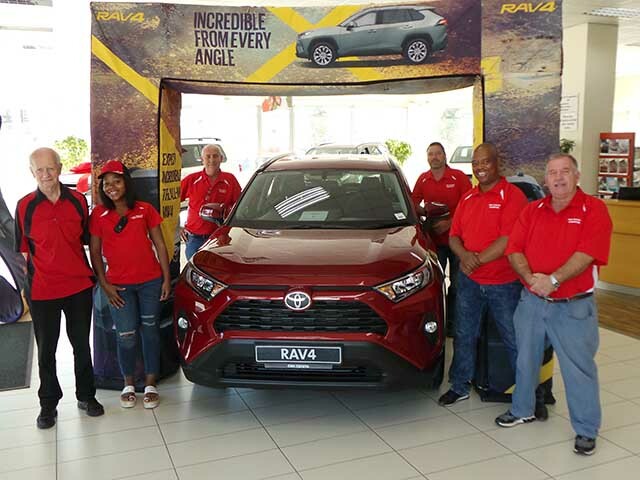 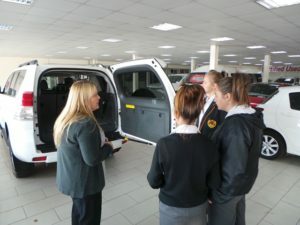 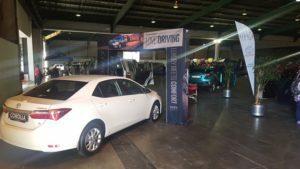 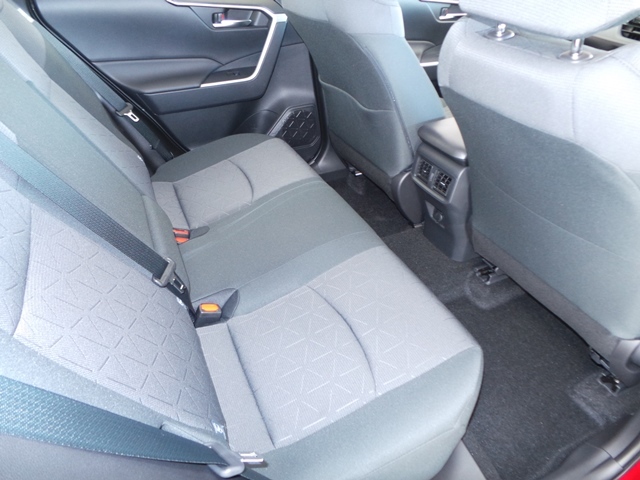 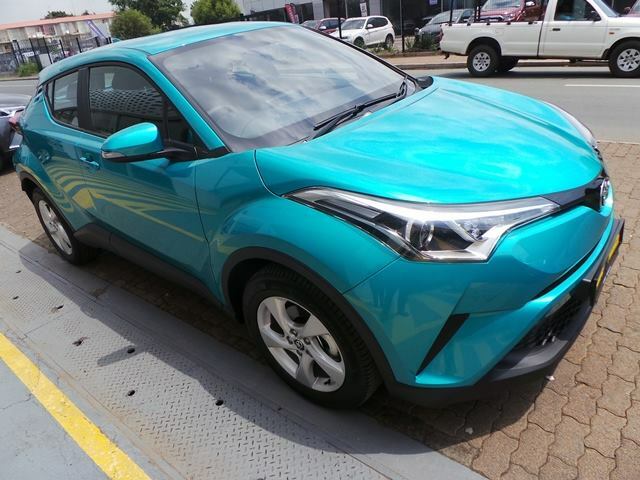 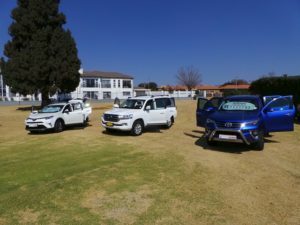 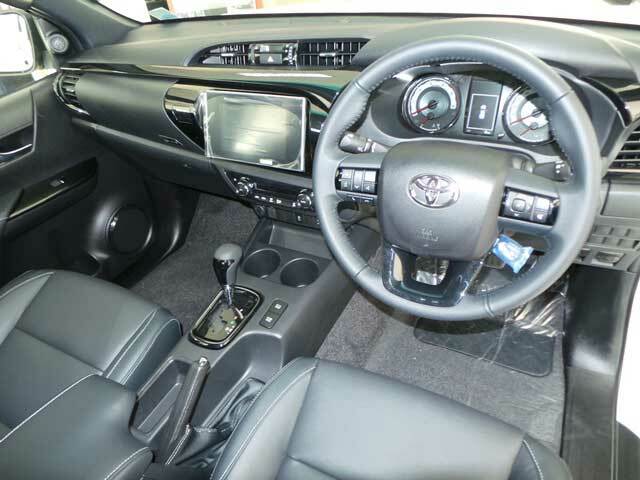 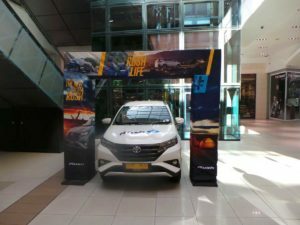 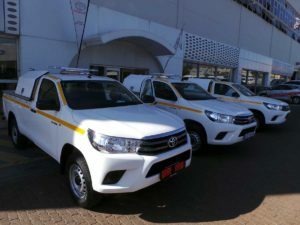 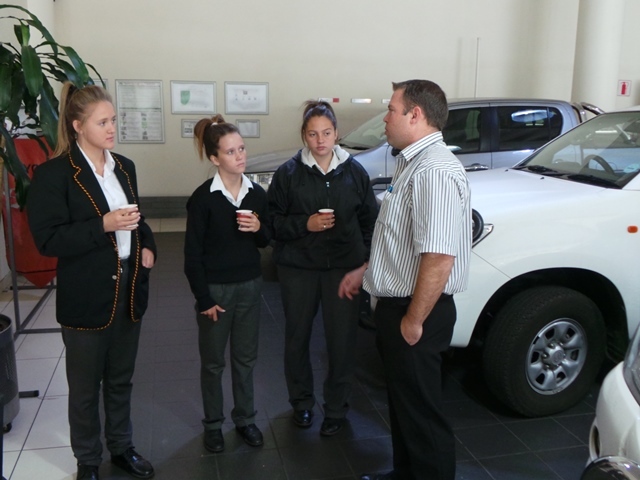 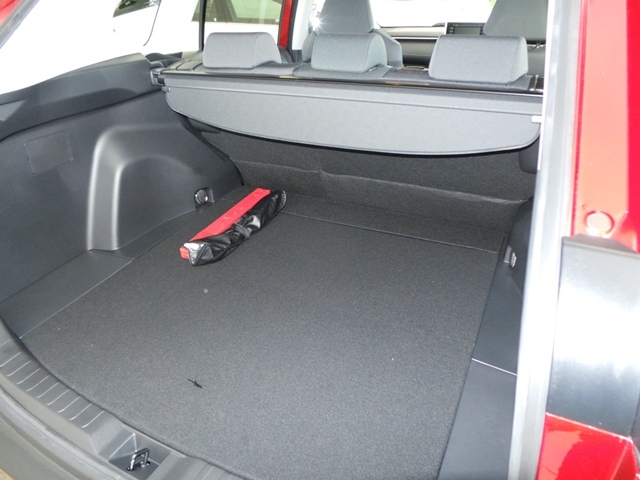 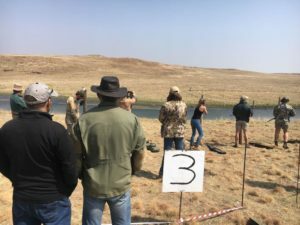 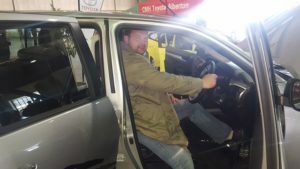 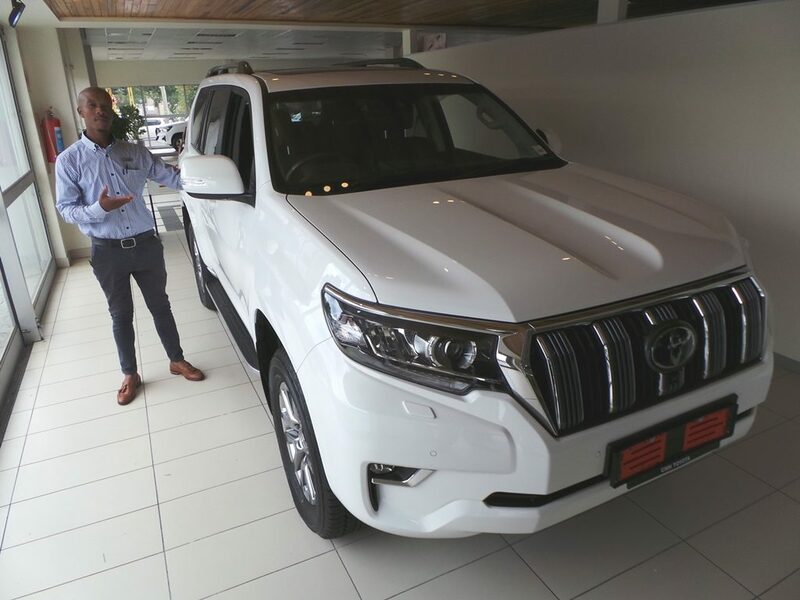 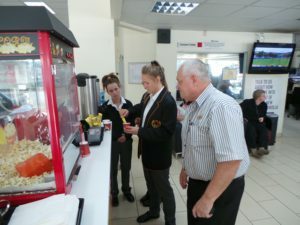 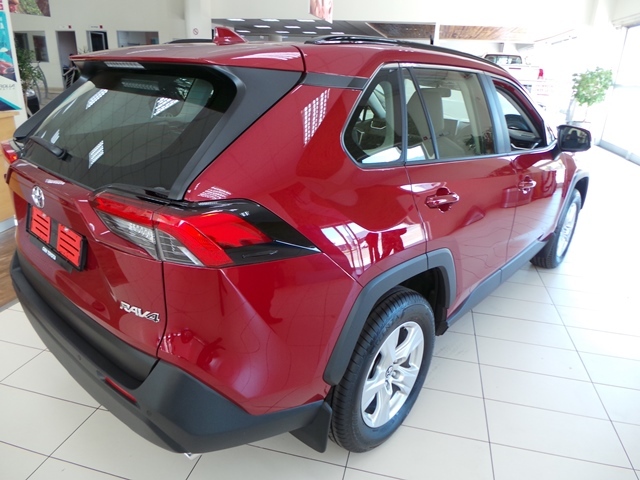 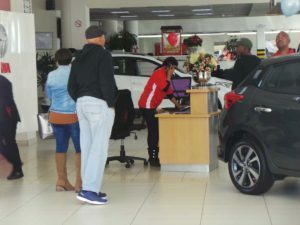 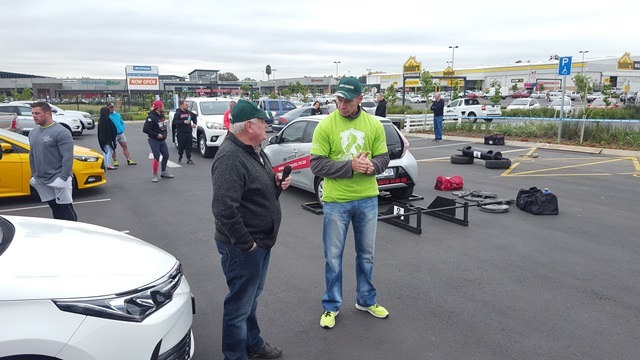 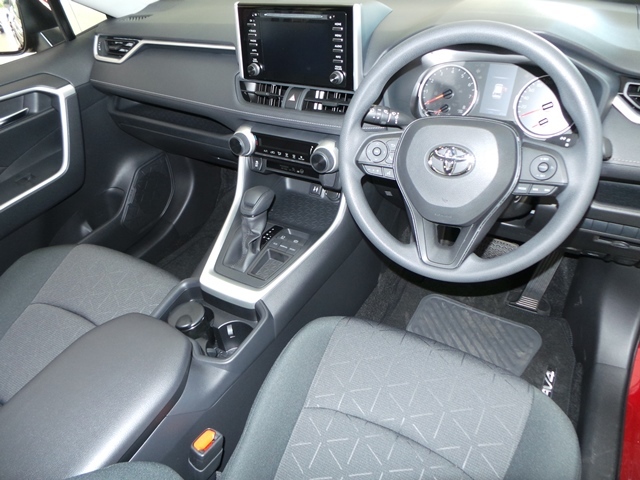 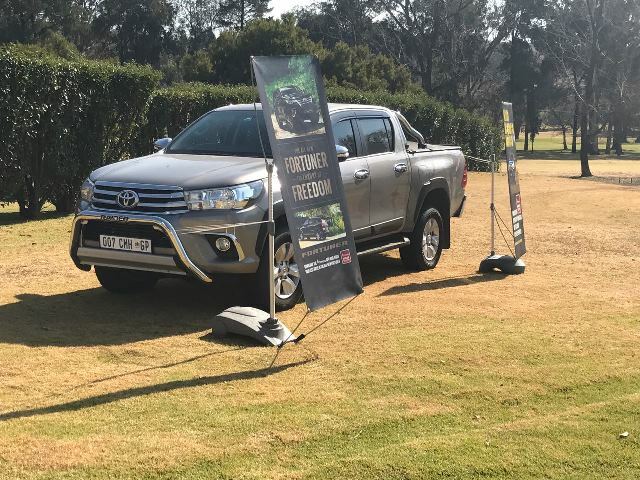 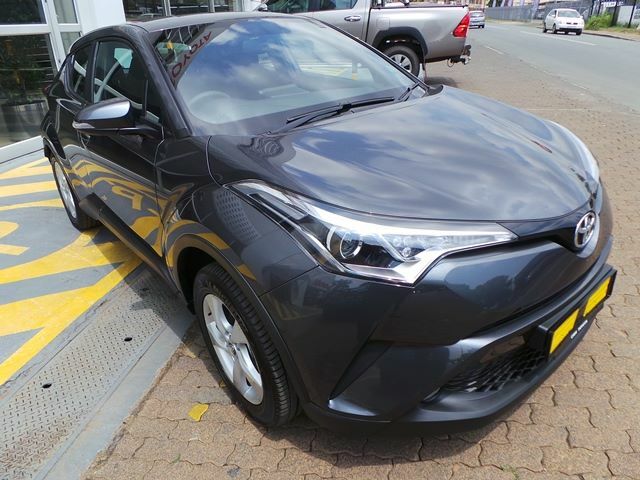 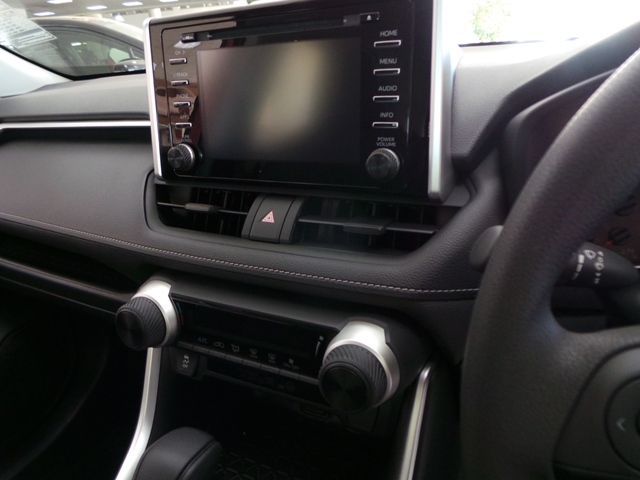 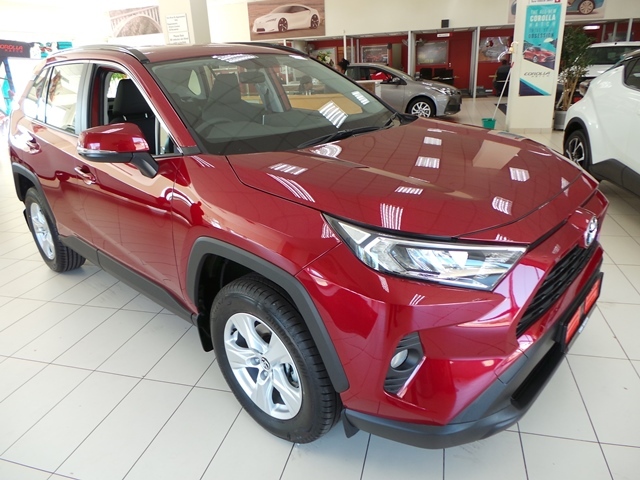 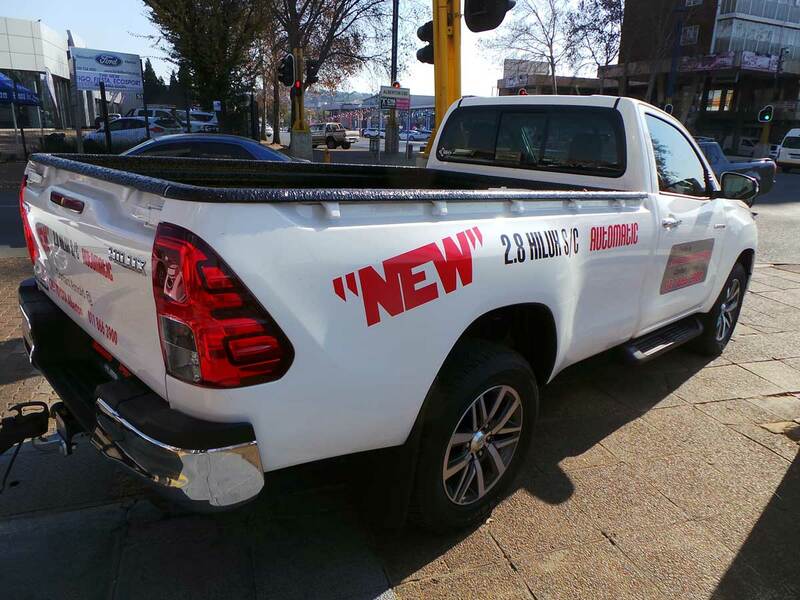 The Golf players also had the opportunity to view some of their latest vehicles and specials from the new tough Toyota Hilux to the new Toyota C-HR. 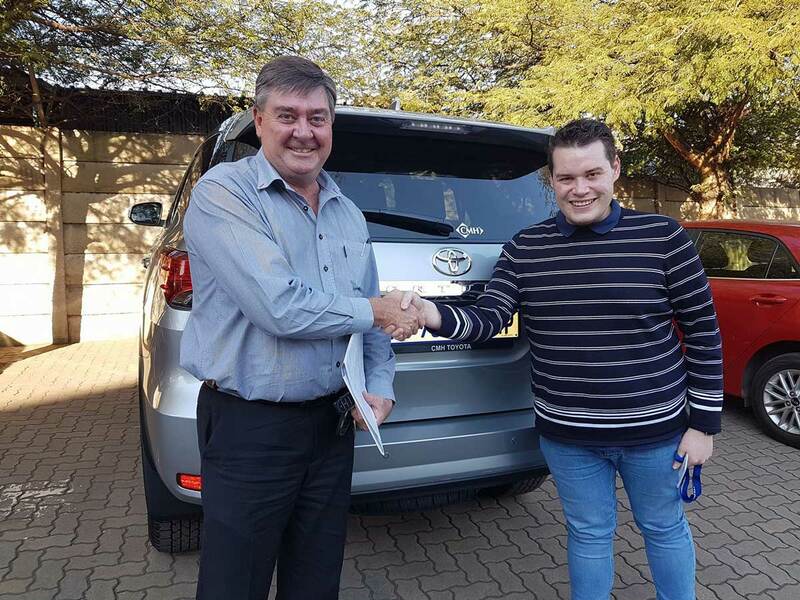 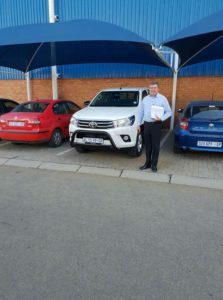 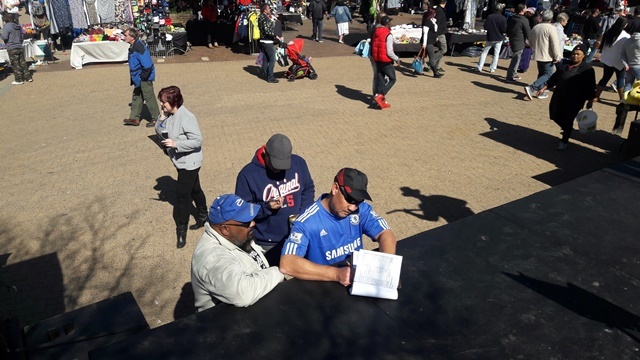 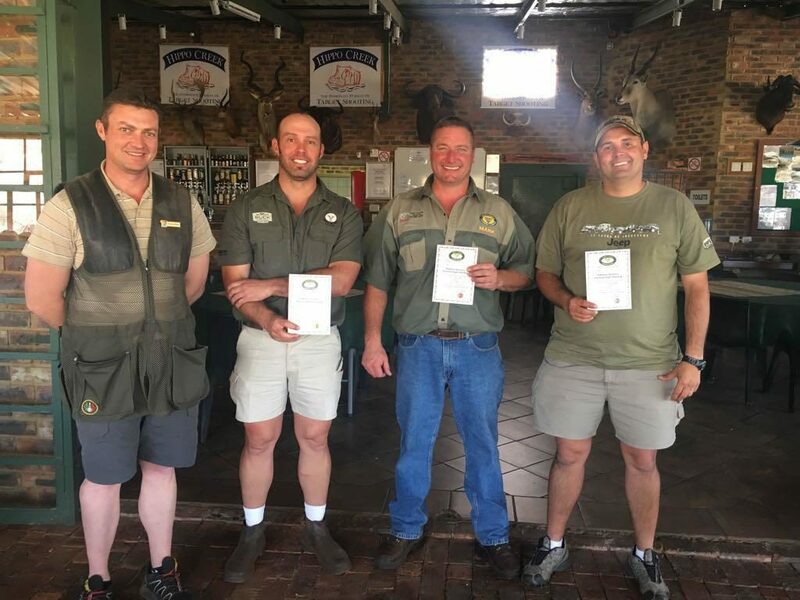 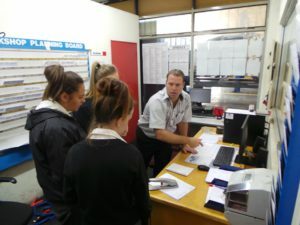 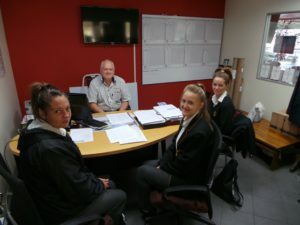 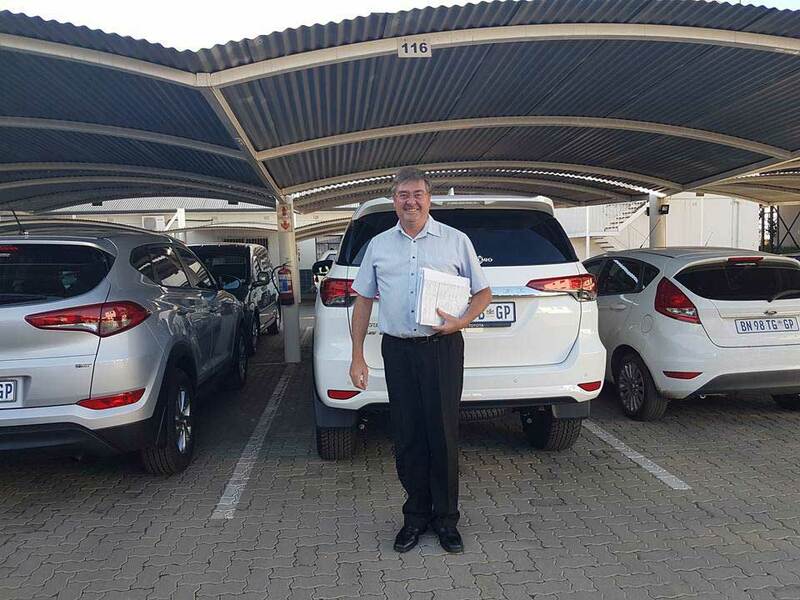 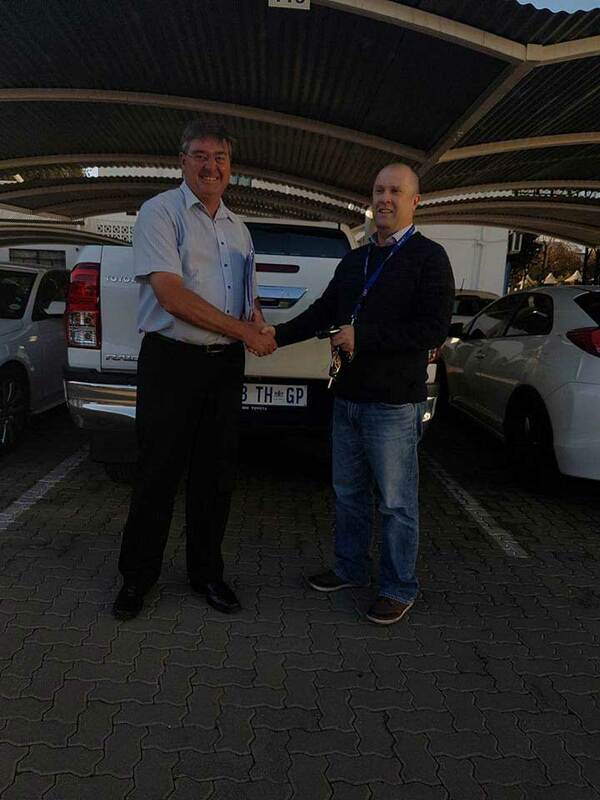 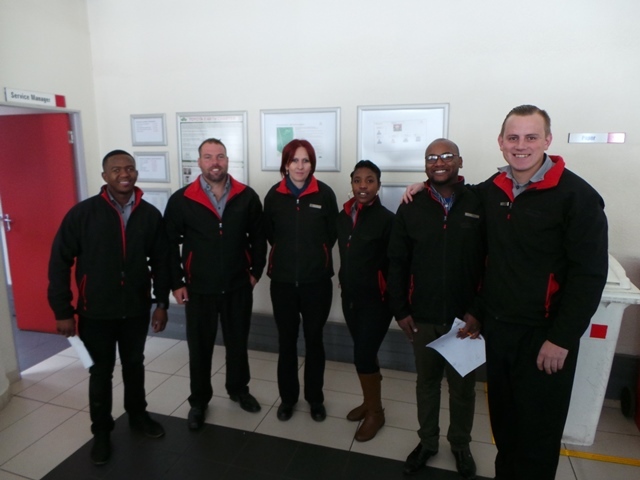 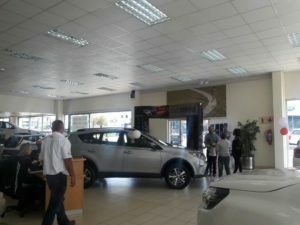 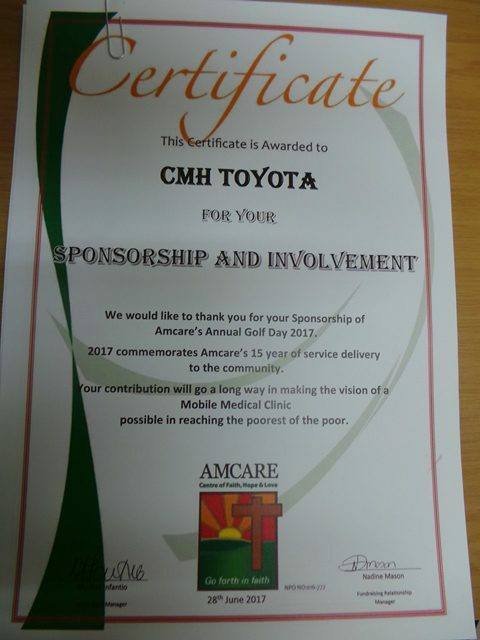 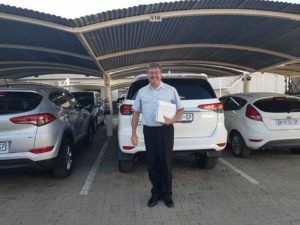 Amcare also rewarded CMH Toyota Alberton with a certificate for their sponsorship and involvement for their contribution towards that day, CMH Toyota will go a long way with Amcare and will support them for as long as they possibly can. 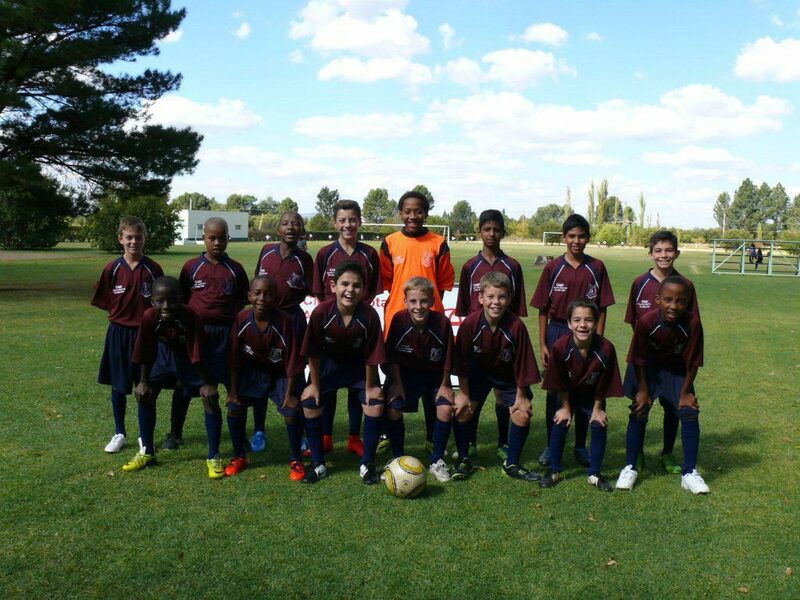 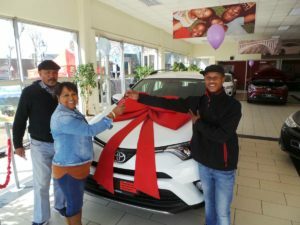 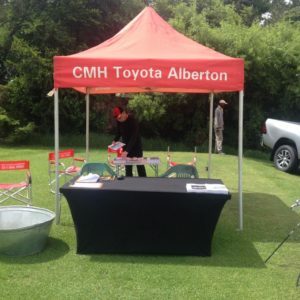 It is always a pleasure for CMH Toyota Alberton to sponsor Amcare Centre of Faith, Hope & Love. 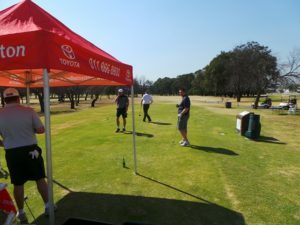 A big Golf day took place at Reading Golf club on the 27th of October last year. 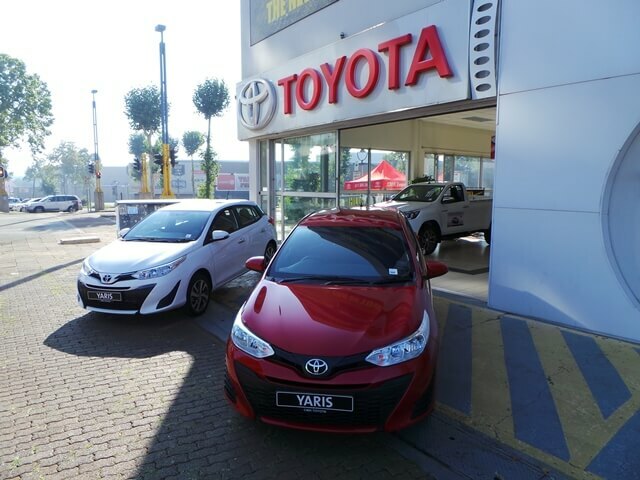 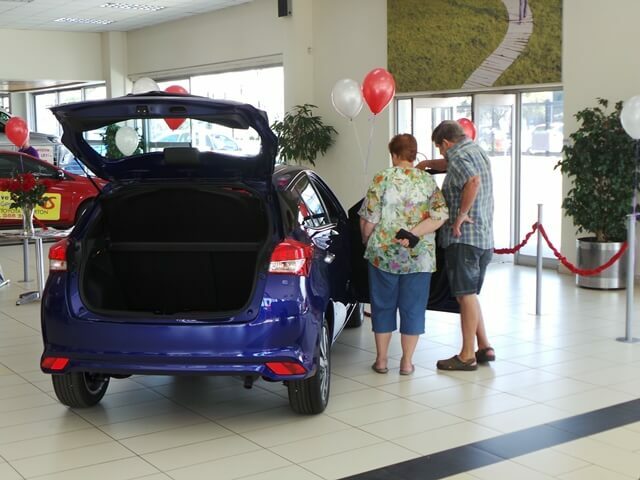 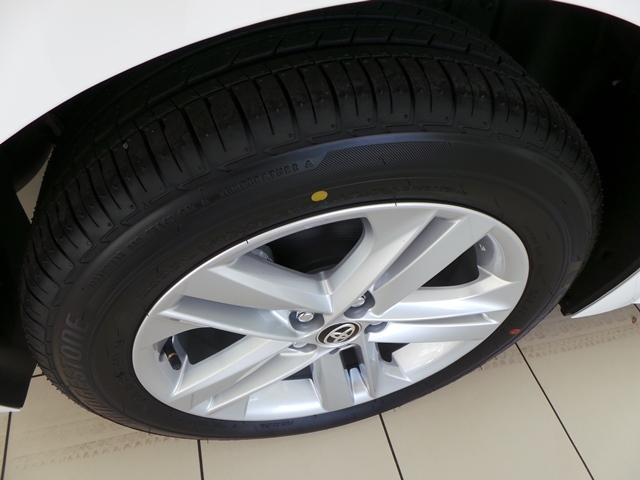 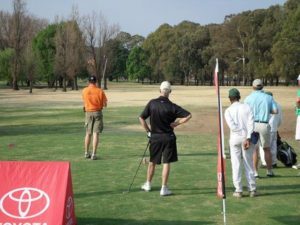 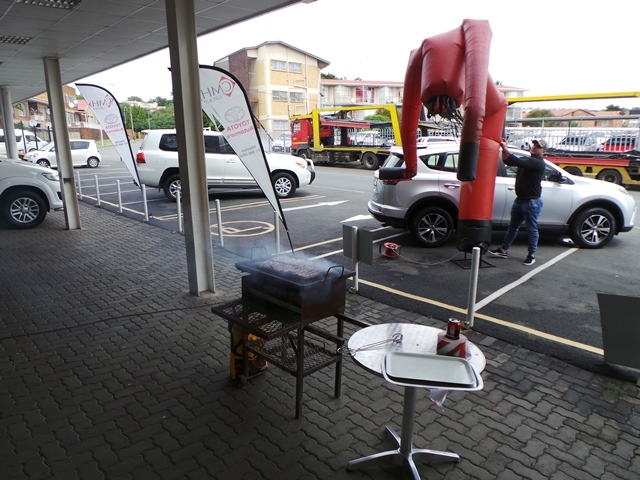 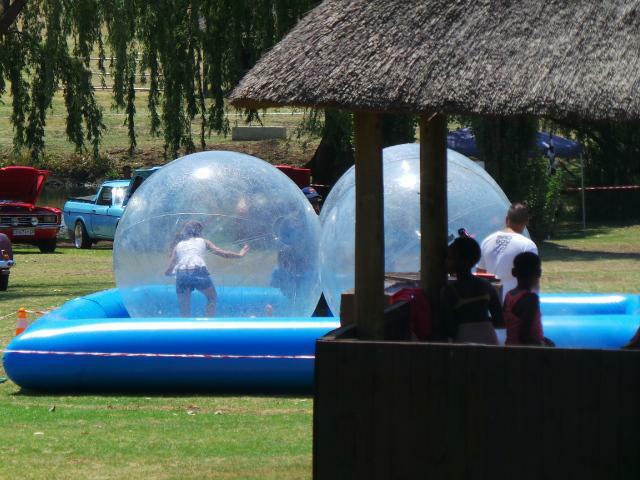 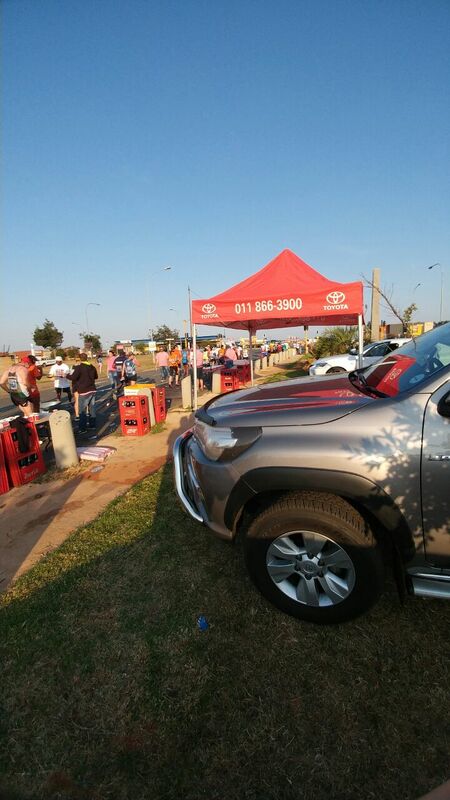 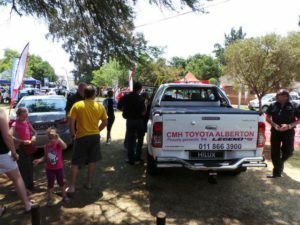 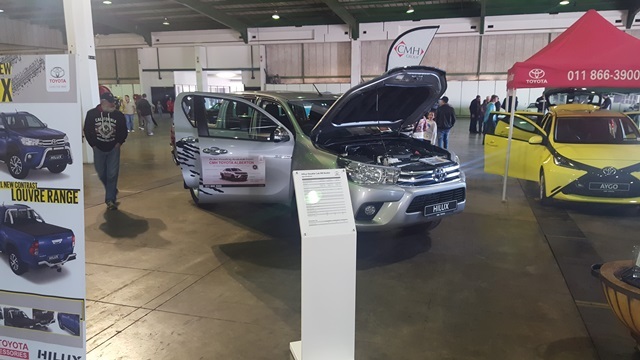 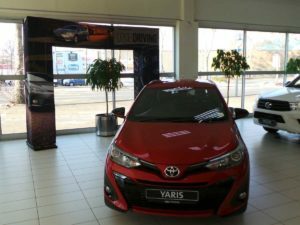 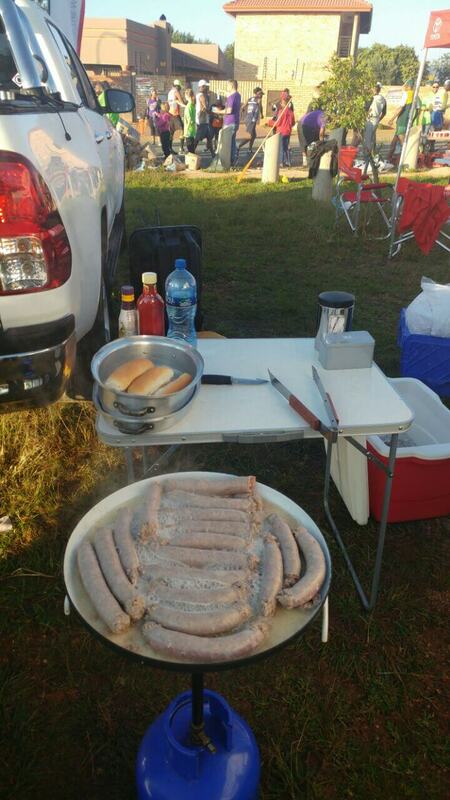 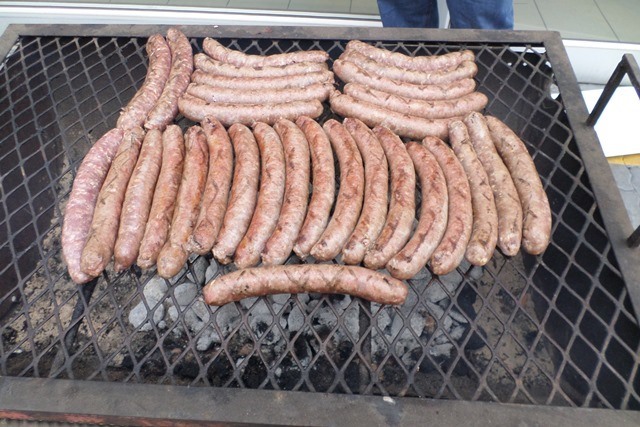 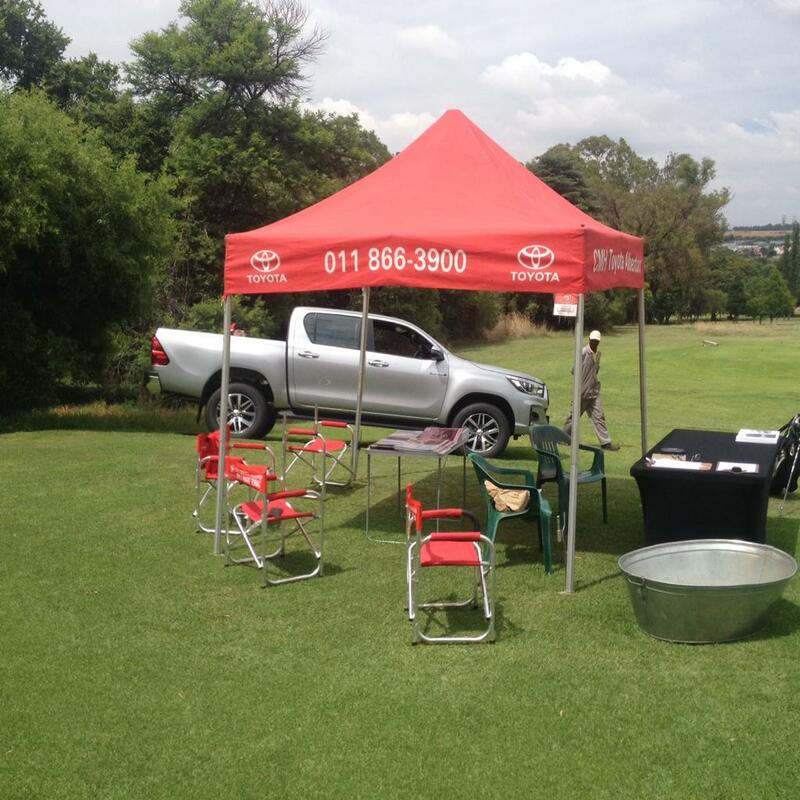 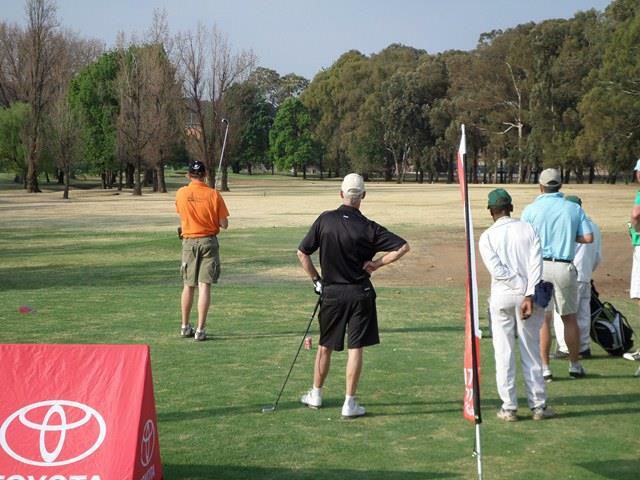 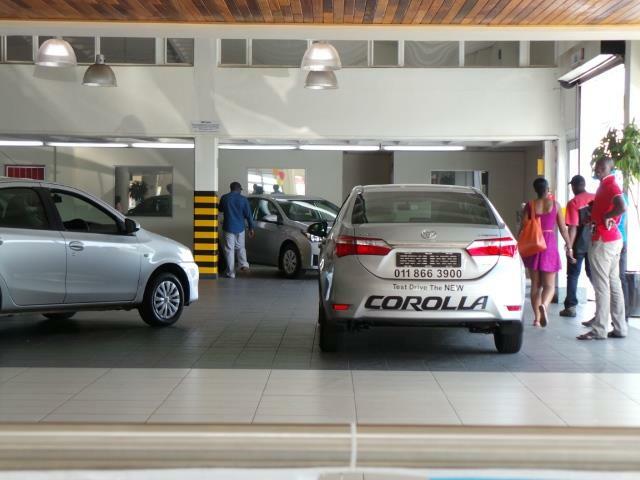 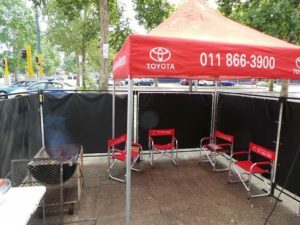 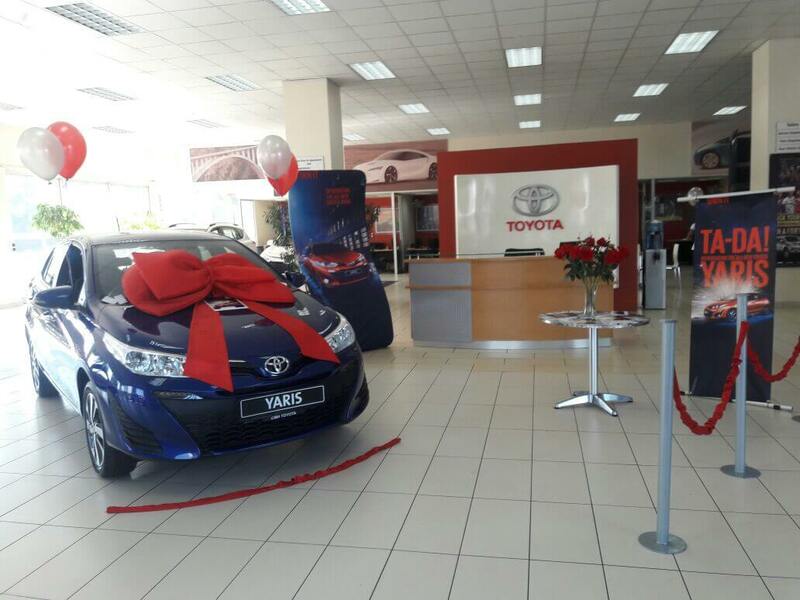 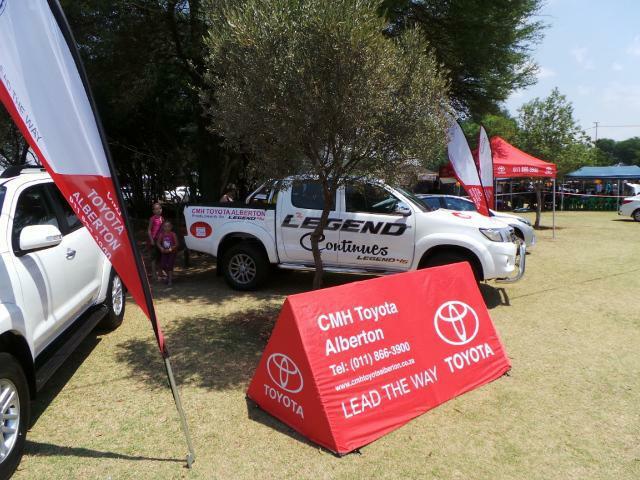 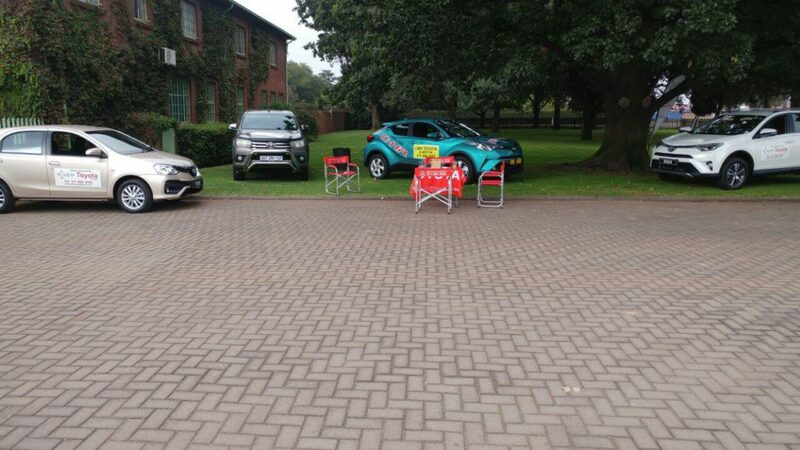 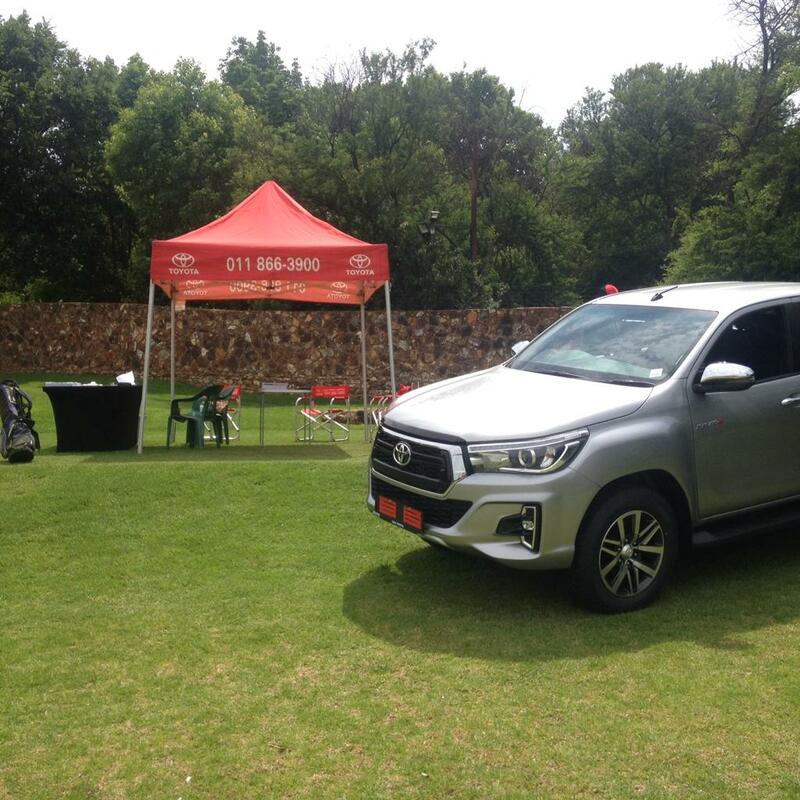 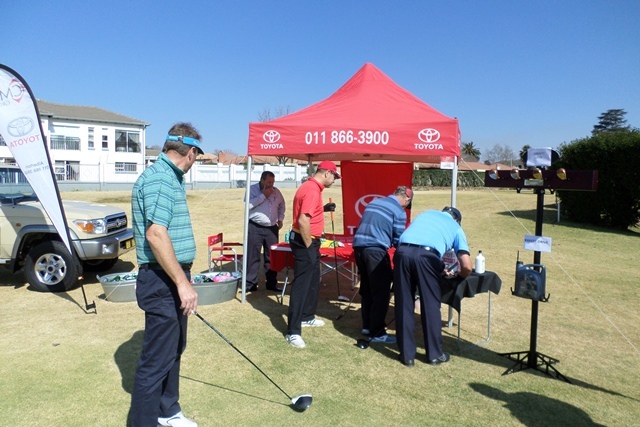 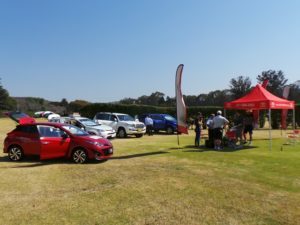 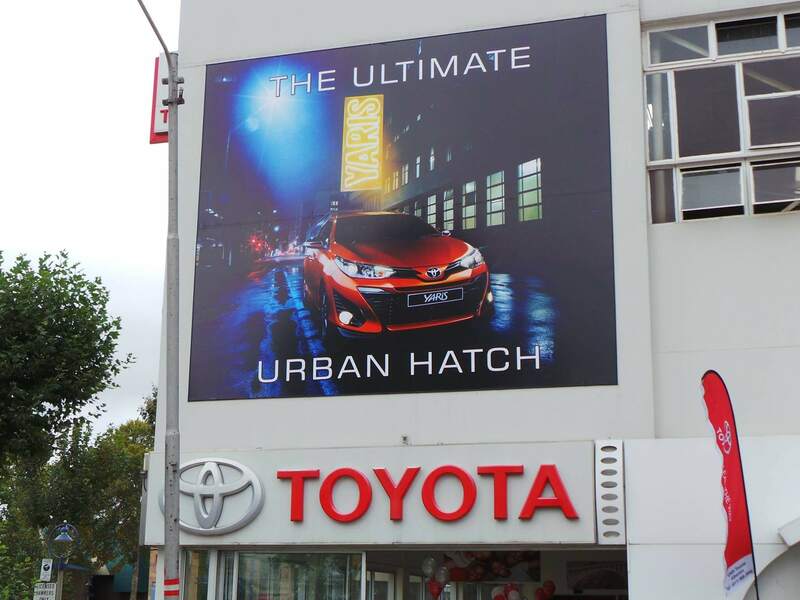 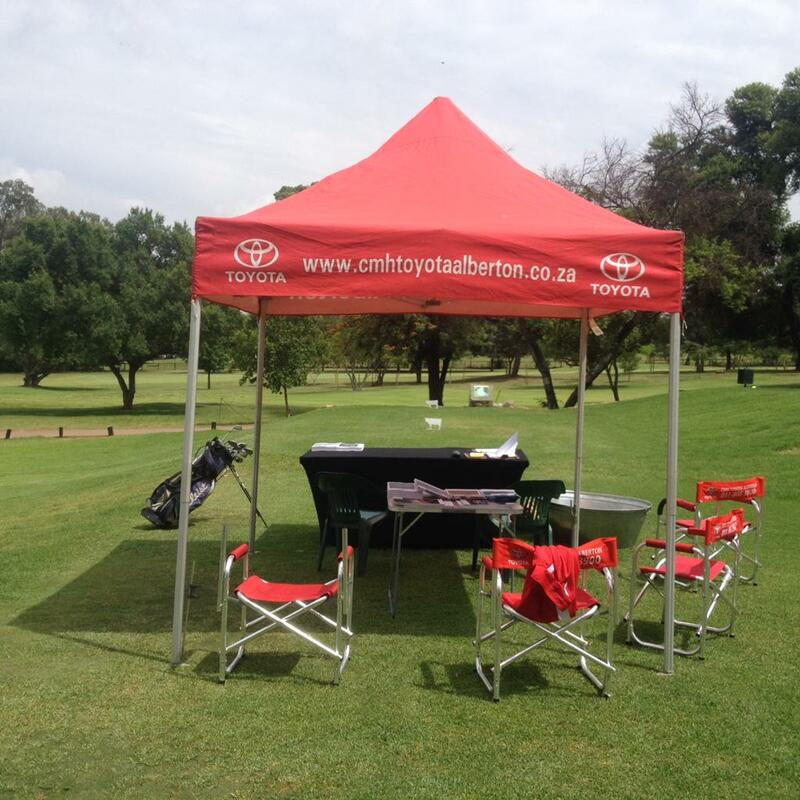 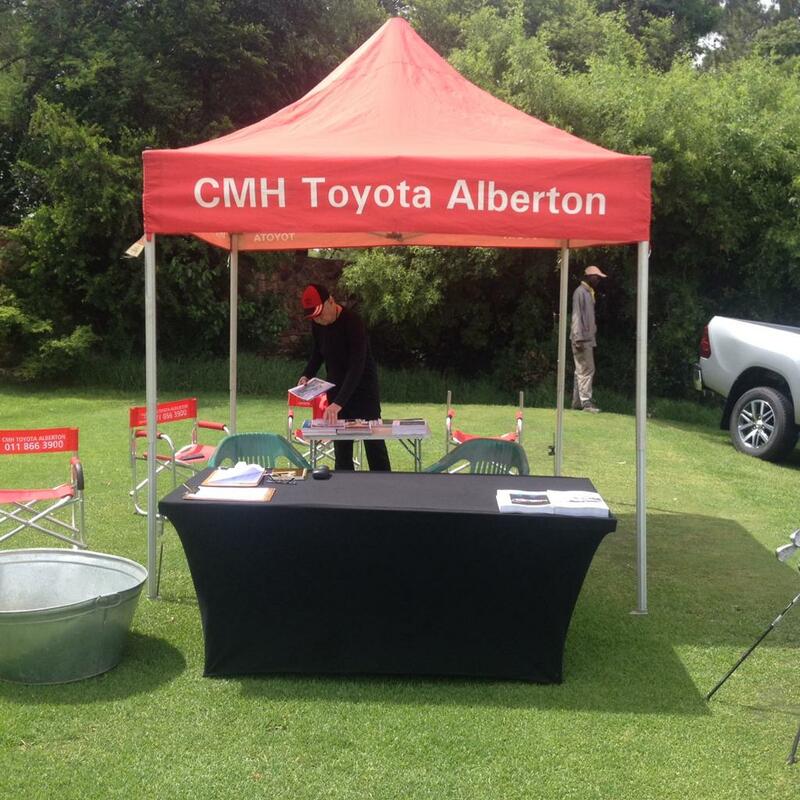 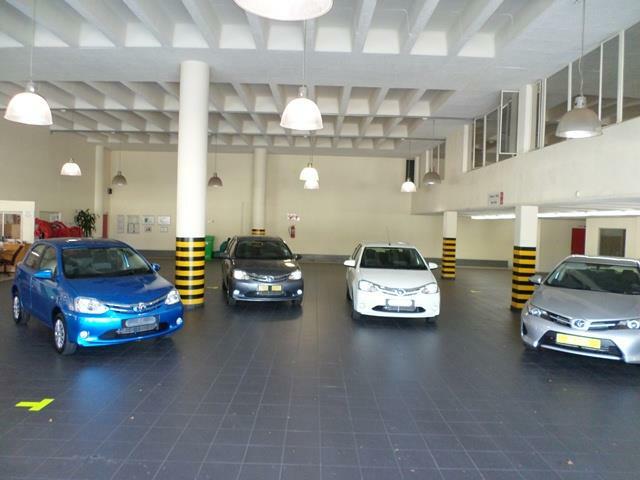 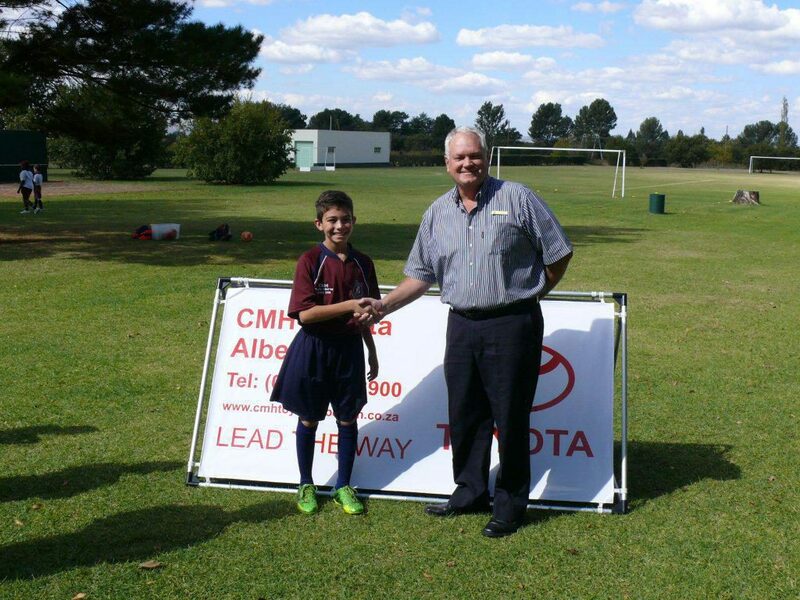 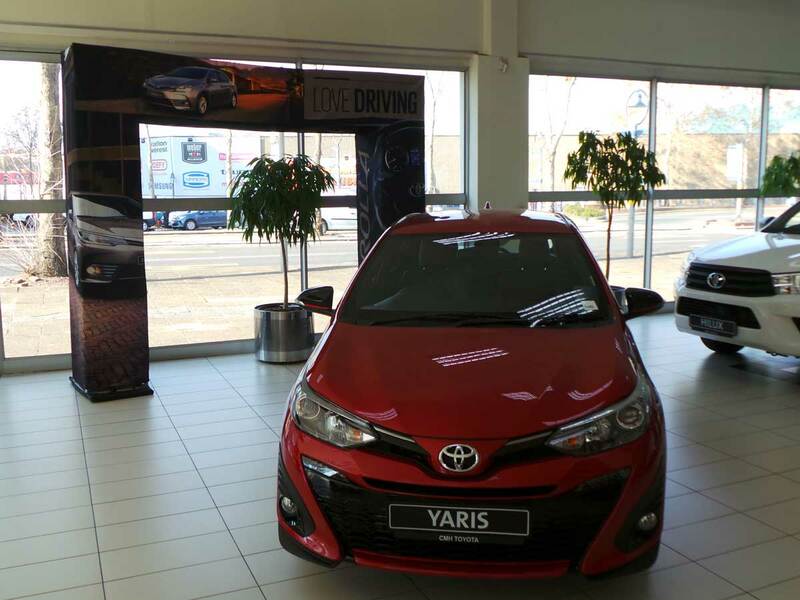 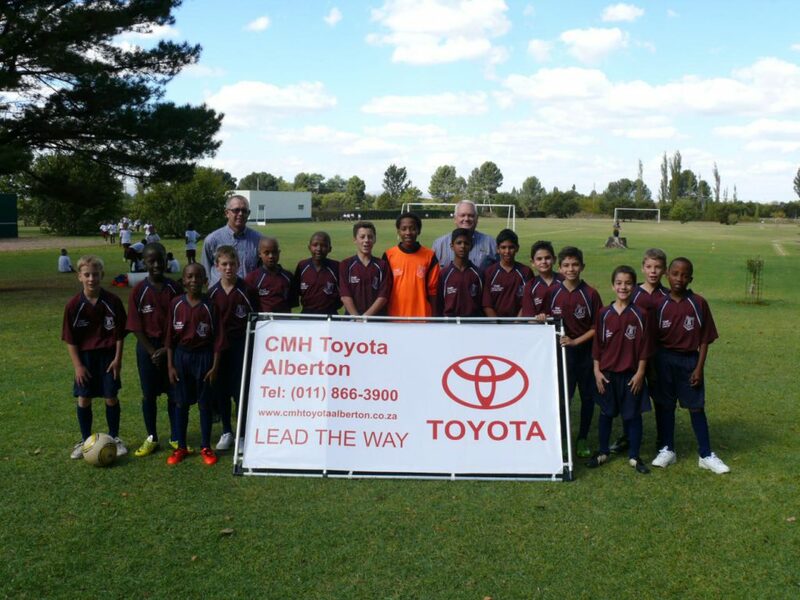 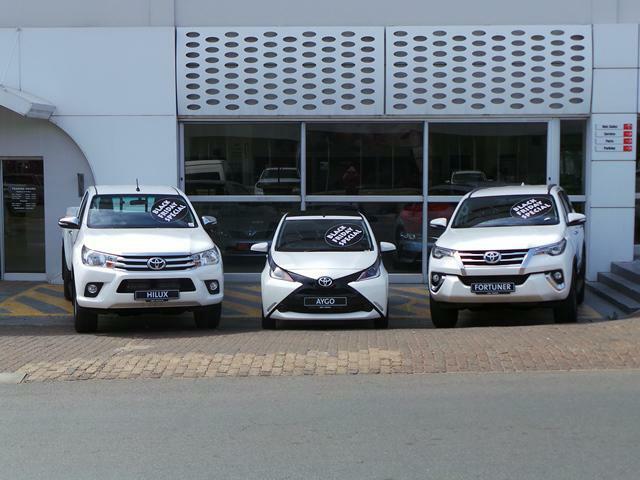 CMH Toyota Alberton sponsored one of their Holes and also displayed some of their vehicles that were on special. 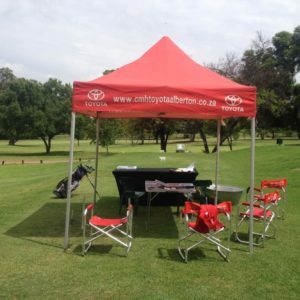 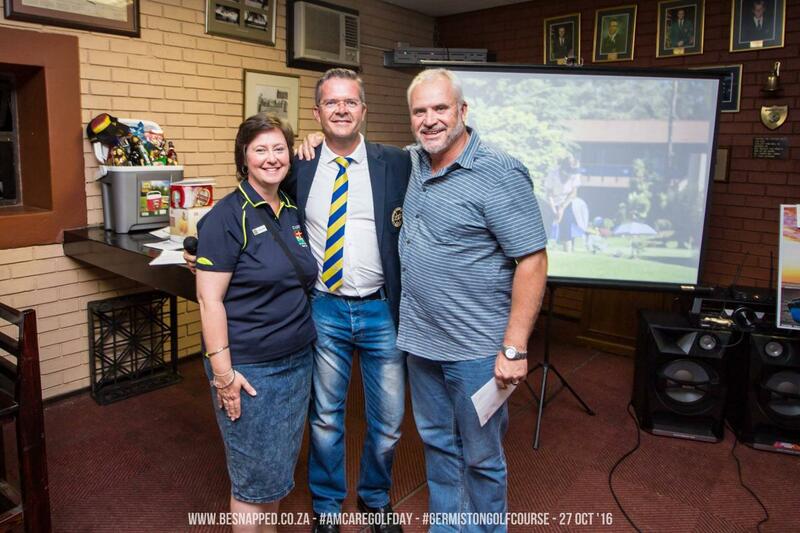 A big thank you also went out to Brett Harding, Widney & Sharon Menegaldo for the large contribution towards the golf day. 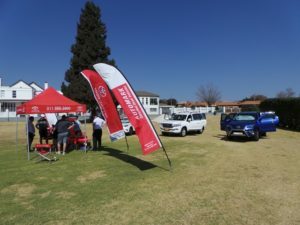 Played and sponsored by Widney Transport Components, CDI Brokers cc, Razel Finance, Dan Lezar EnviroCool, K9 Sercurity, Ian Brook Dean Spear, M. Ferreria, Capstone, Lyn Sequeira, Eugene Sequeira, Metal Chip Machinery, Malcolm Moriarty Metaclark, Jacques De Beer, Worleyparsons Rsa, Neill McEwan African Corporate Cleaning, Gavin GreenMzantsi Transmissions, Mark Leenaerts Multiflora, Andre De Wit, Total Funeral Logistics, Chita Lubbe, PG building glass Processing, Marietjie Tame, Colin Tucker, sponsorship of 4 ball, Quadrant Elevators, Mario Infantino, Ronald Stephensons and that’s just to name a view of the sponsors, players and loads of prize sponsorships. 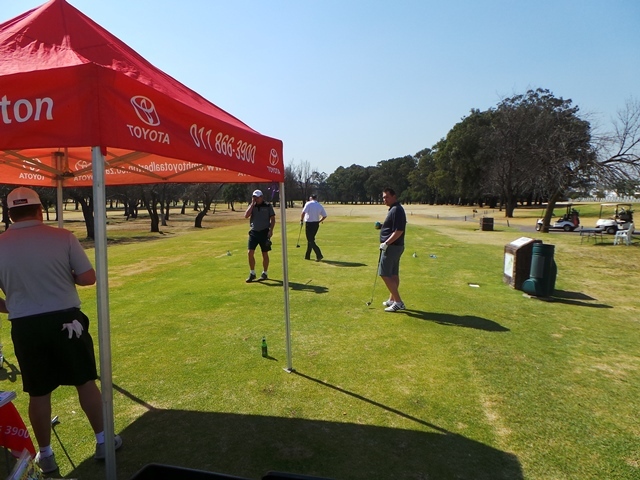 Everybody had fun in the sun and enjoyed playing a round of Golf, especially for it being a good cause. 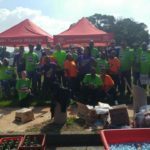 Amcare is a multi-purpose health and social development organization servicing poor and vulnerable persons in the Greater Alberton area of Ekurhuleni. 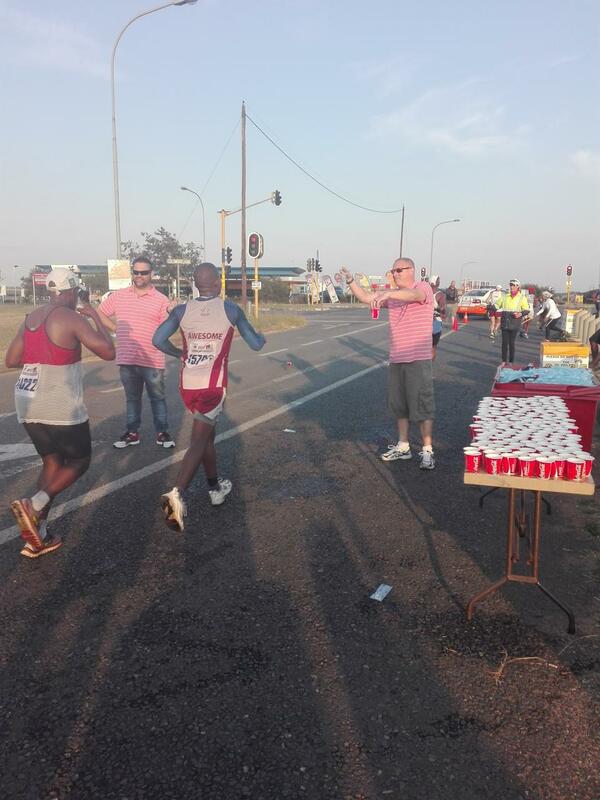 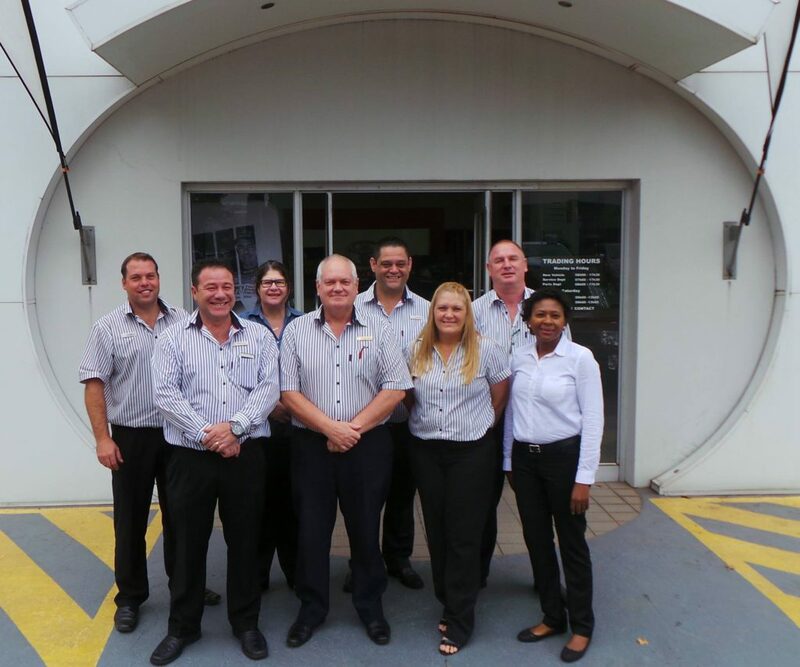 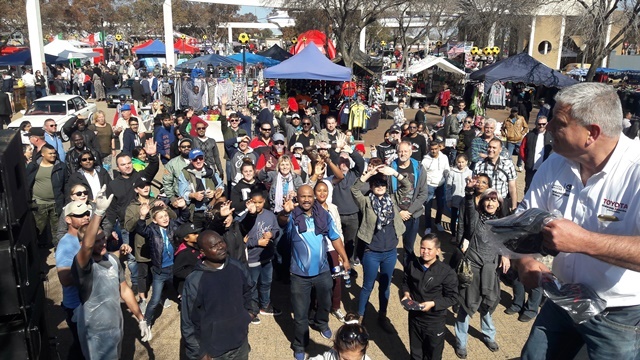 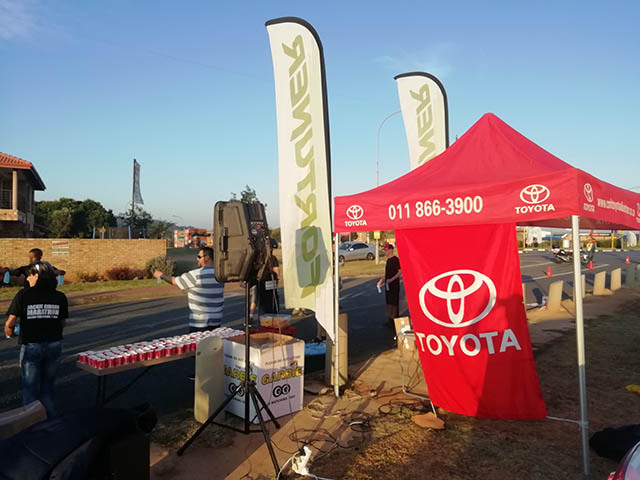 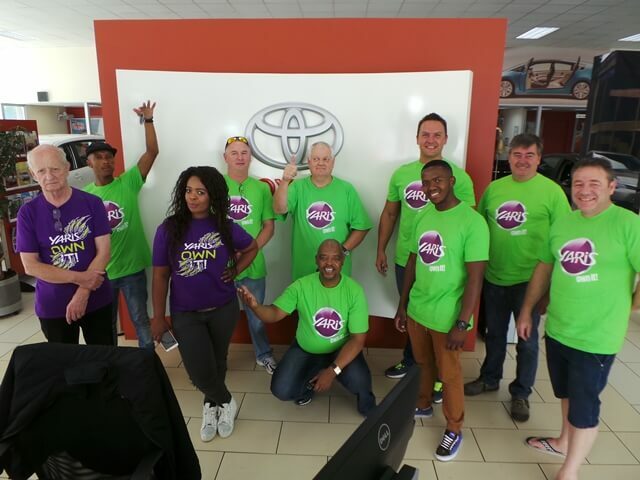 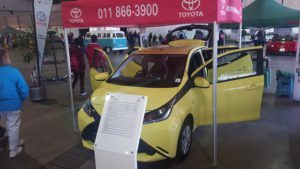 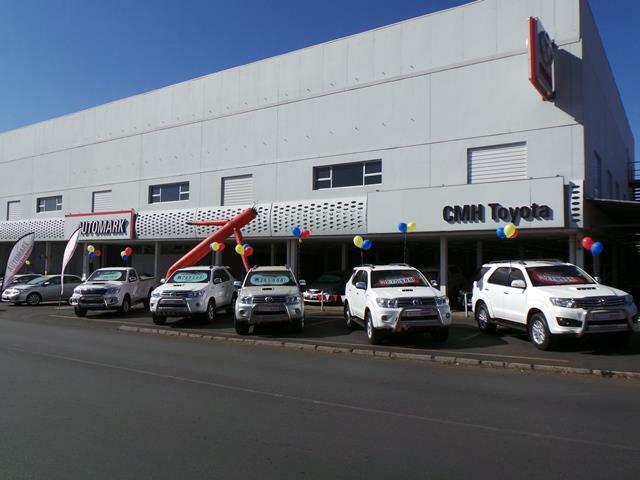 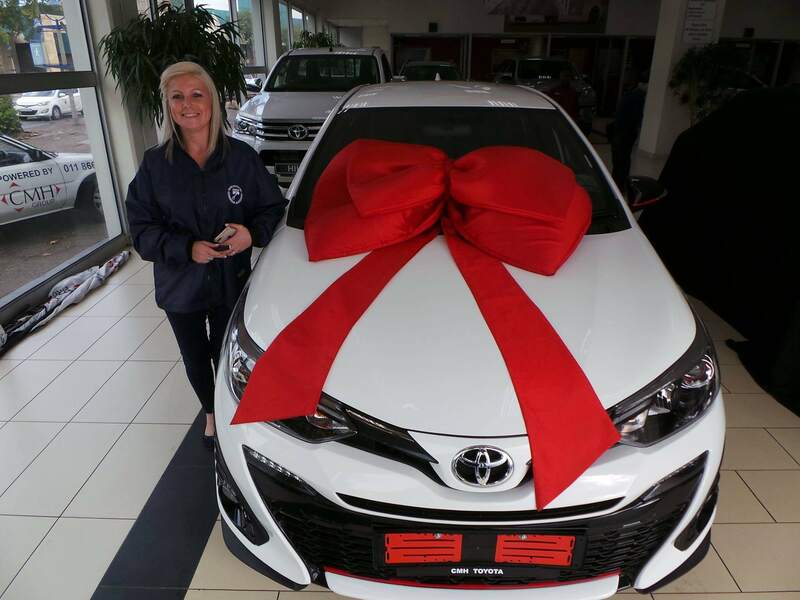 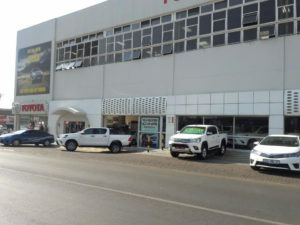 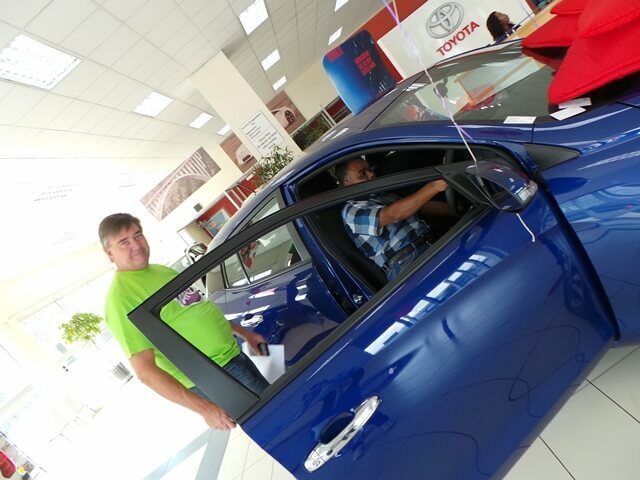 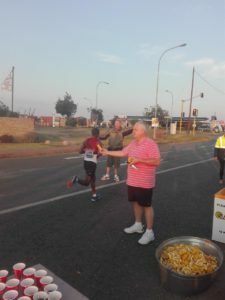 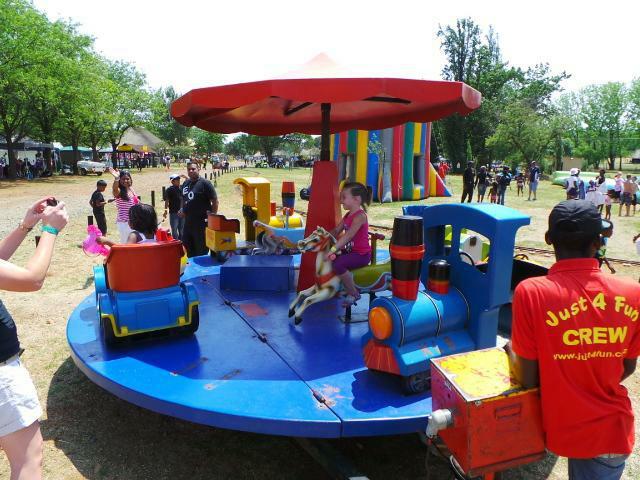 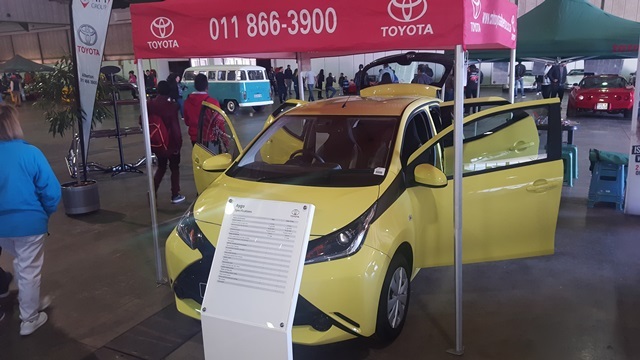 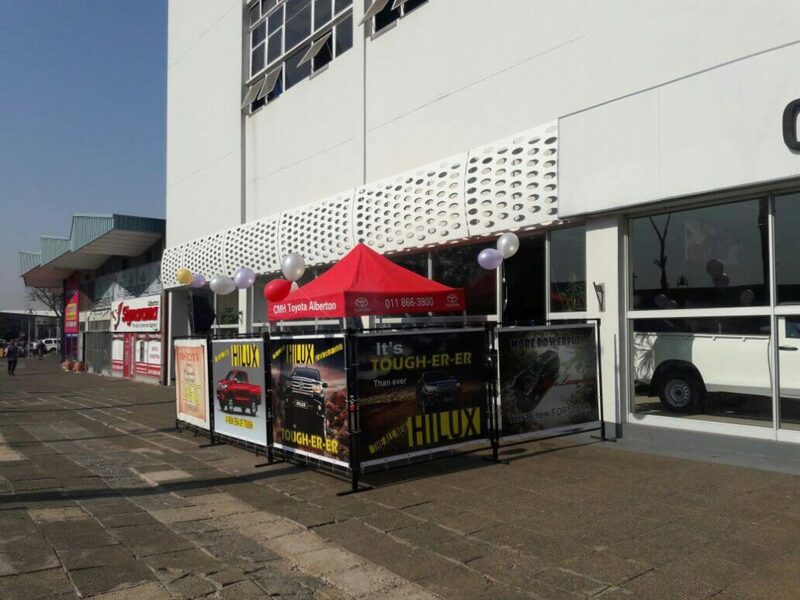 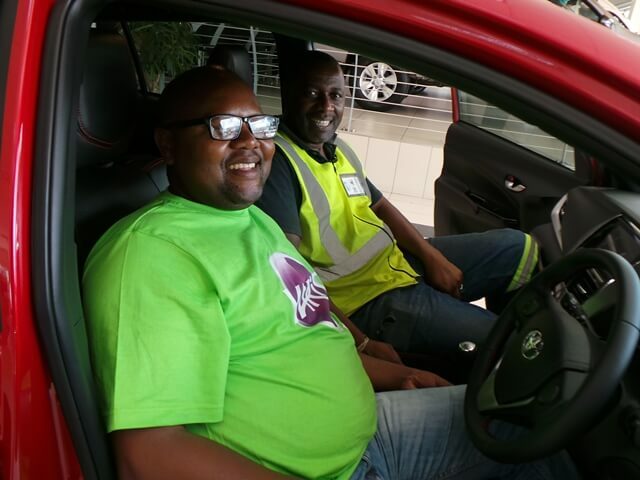 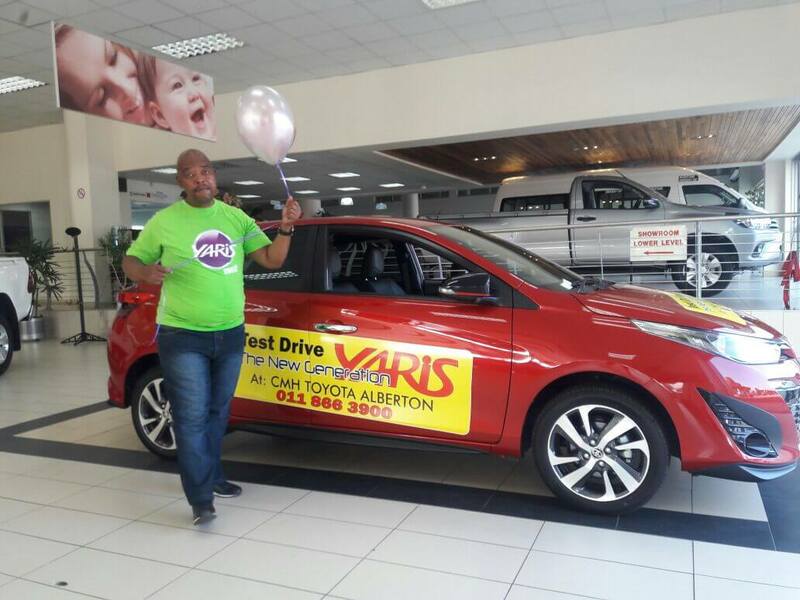 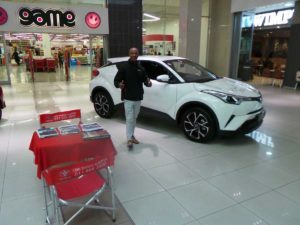 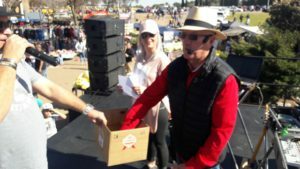 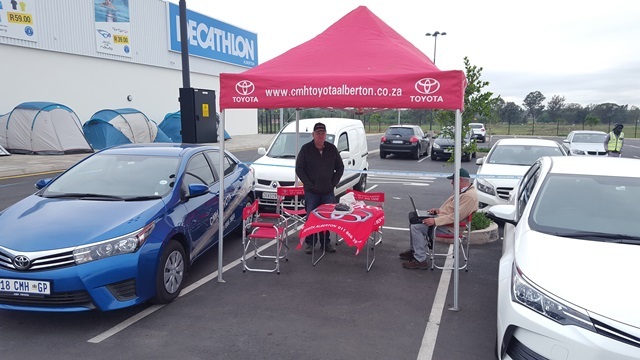 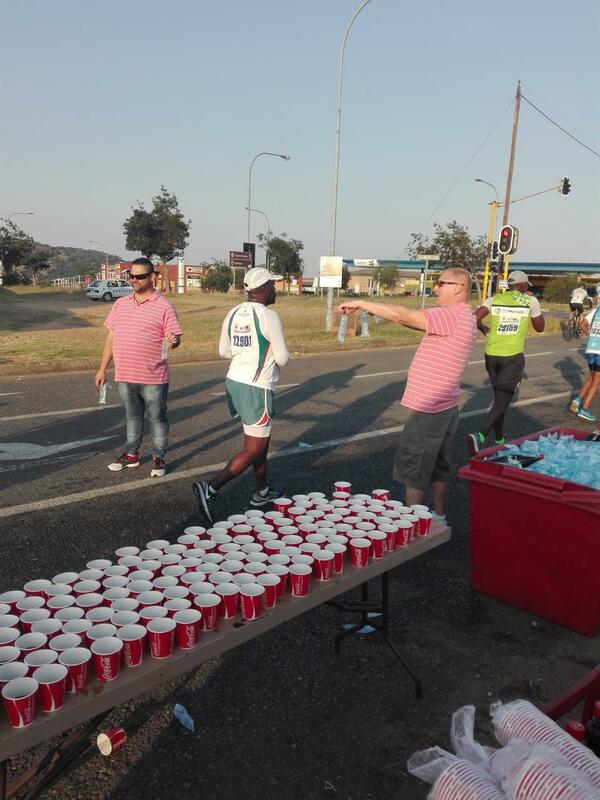 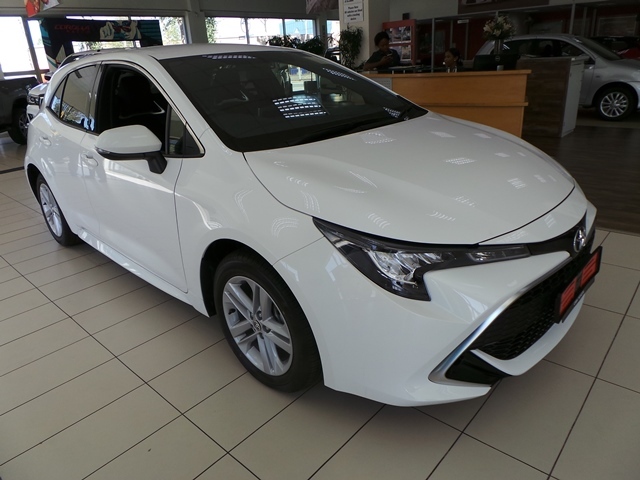 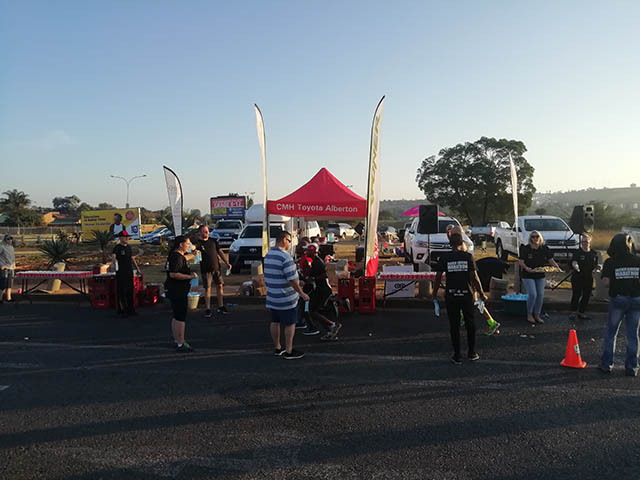 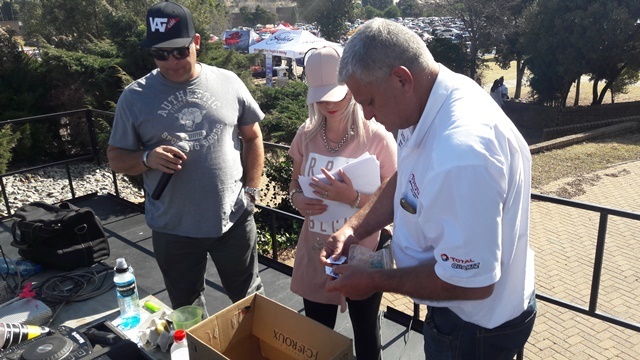 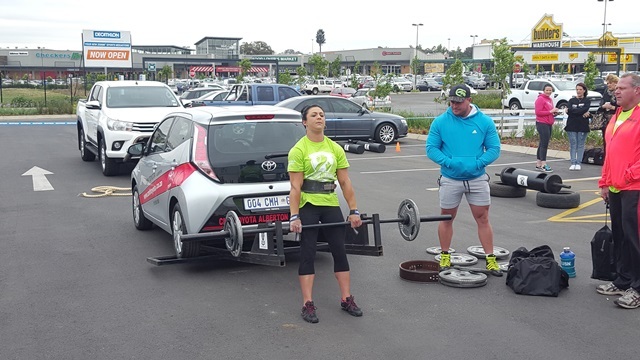 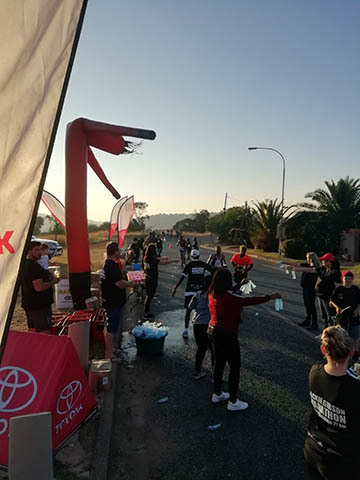 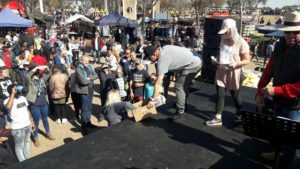 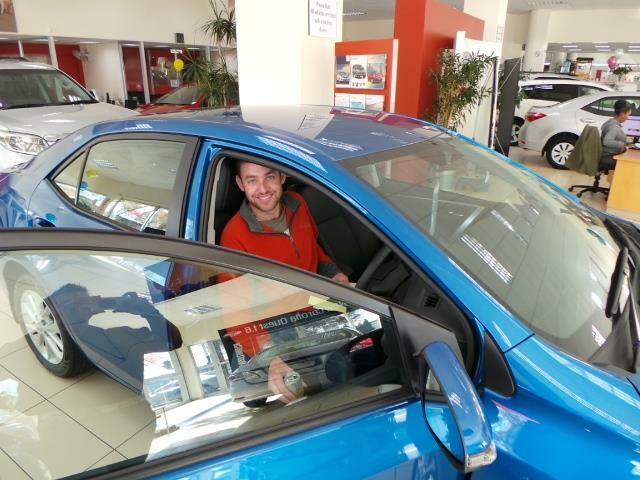 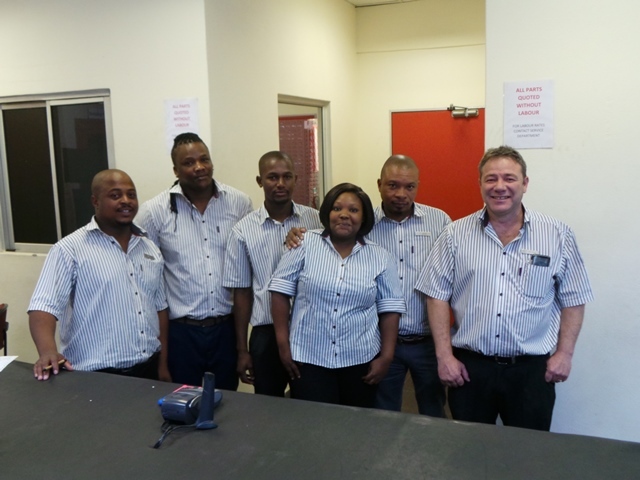 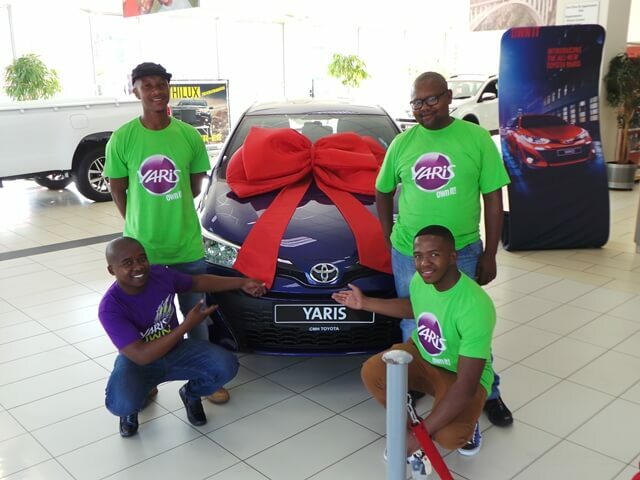 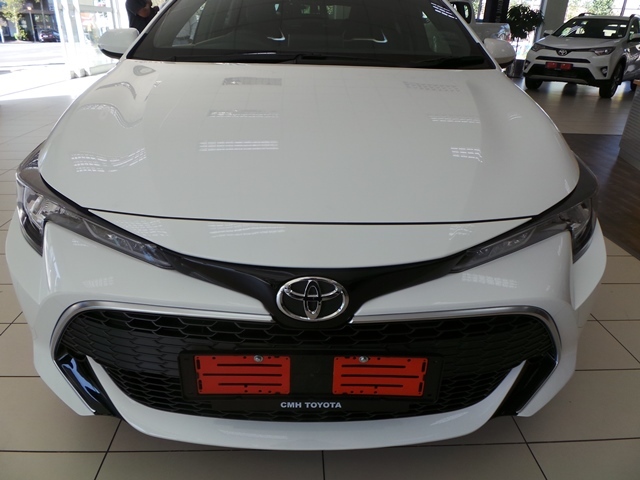 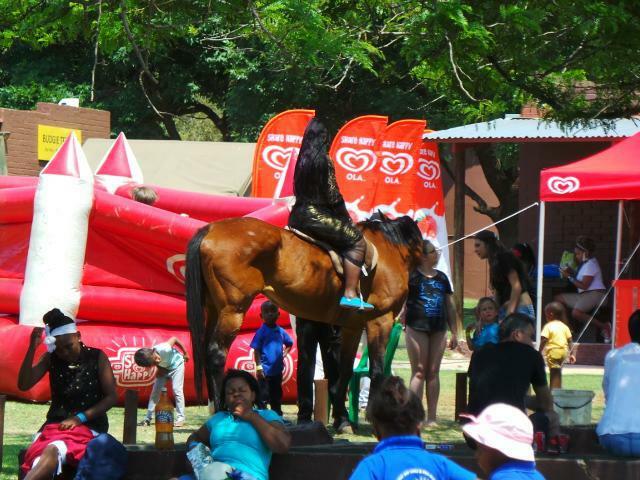 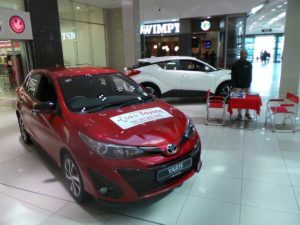 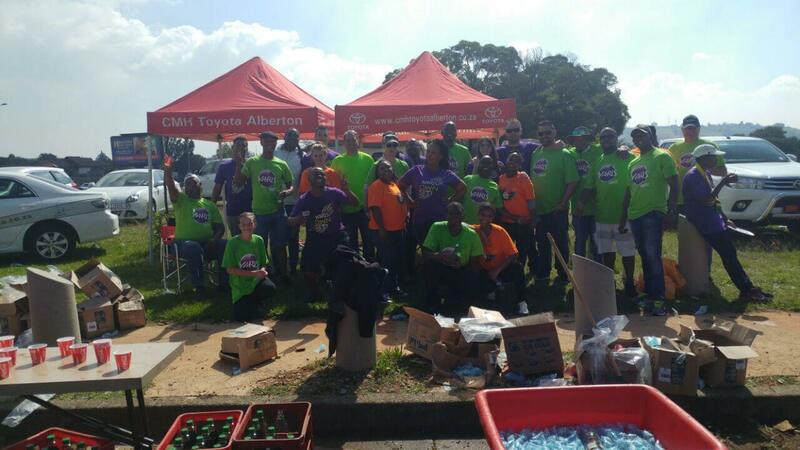 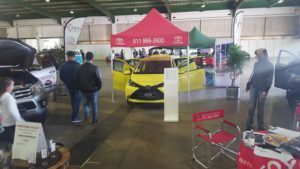 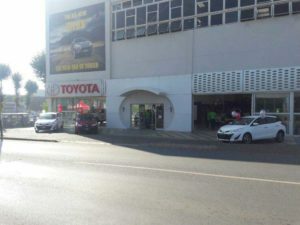 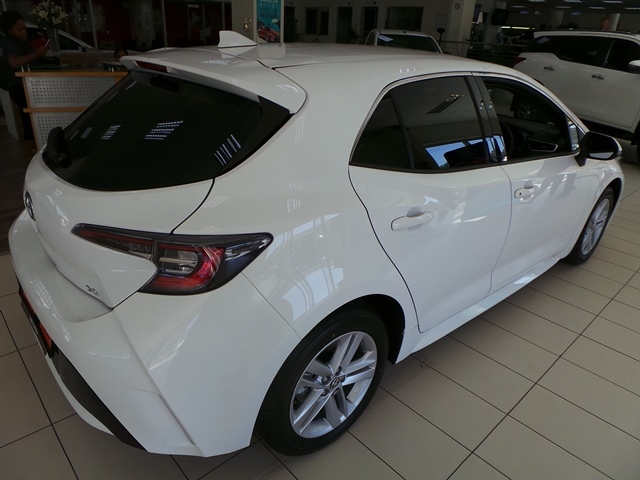 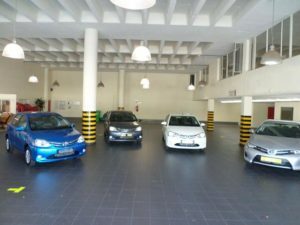 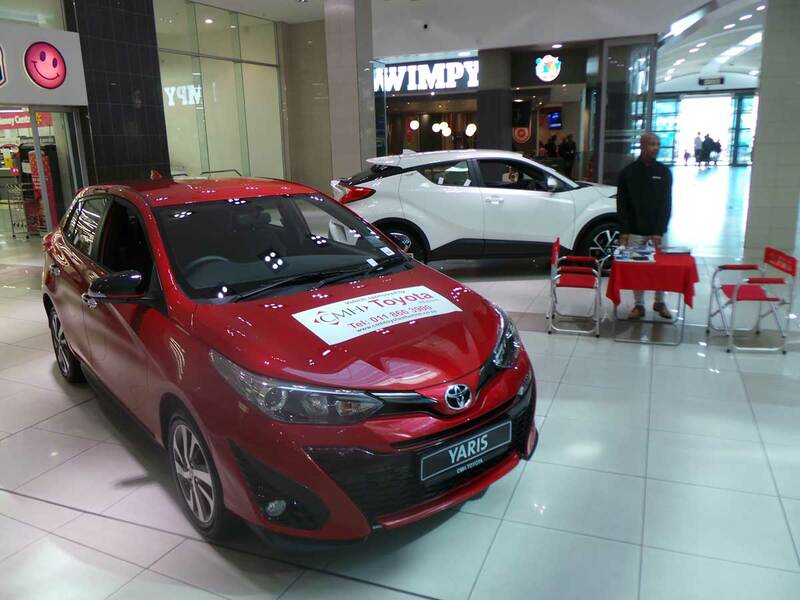 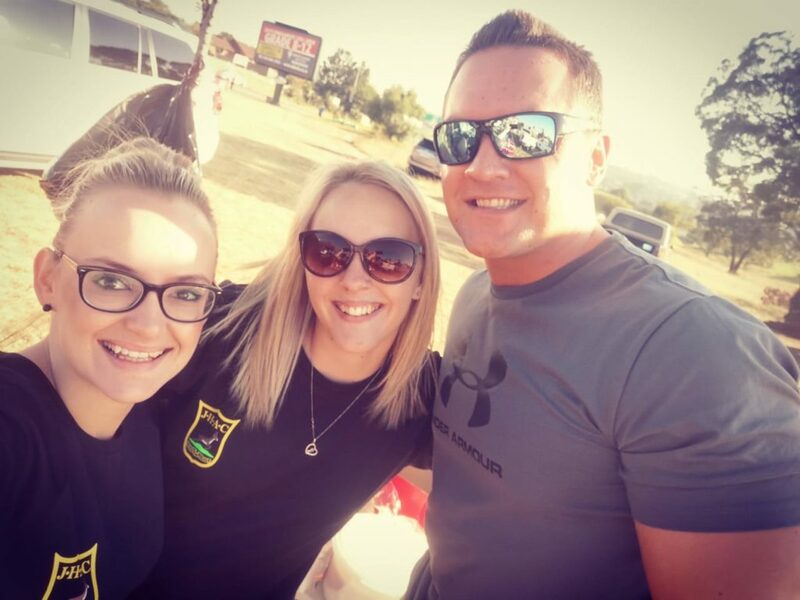 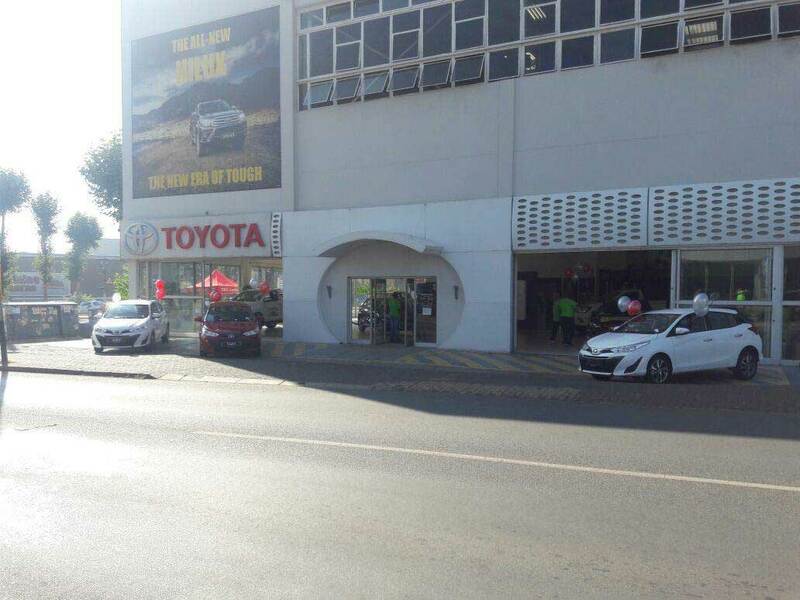 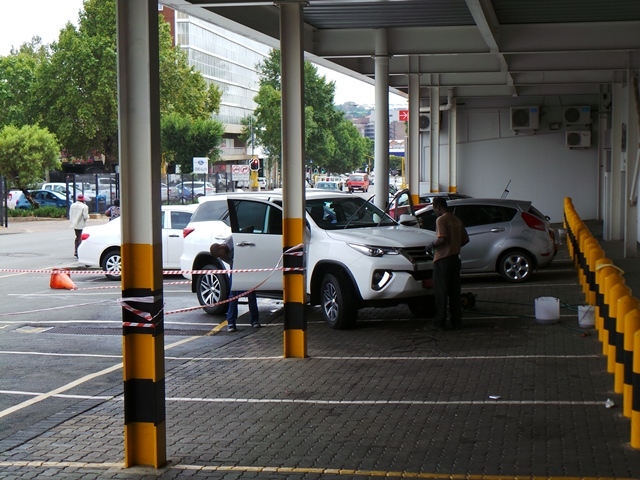 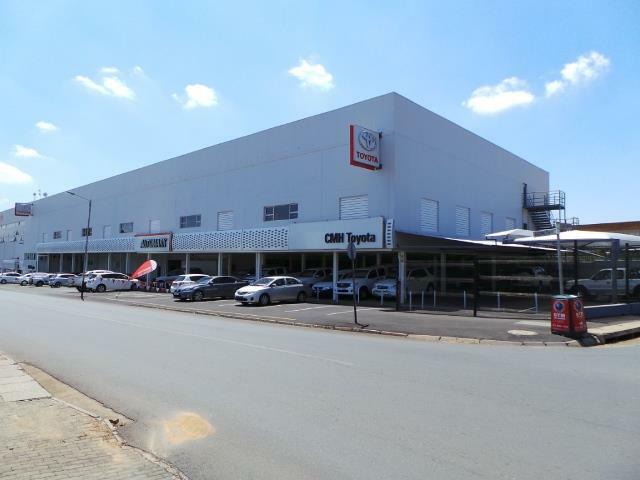 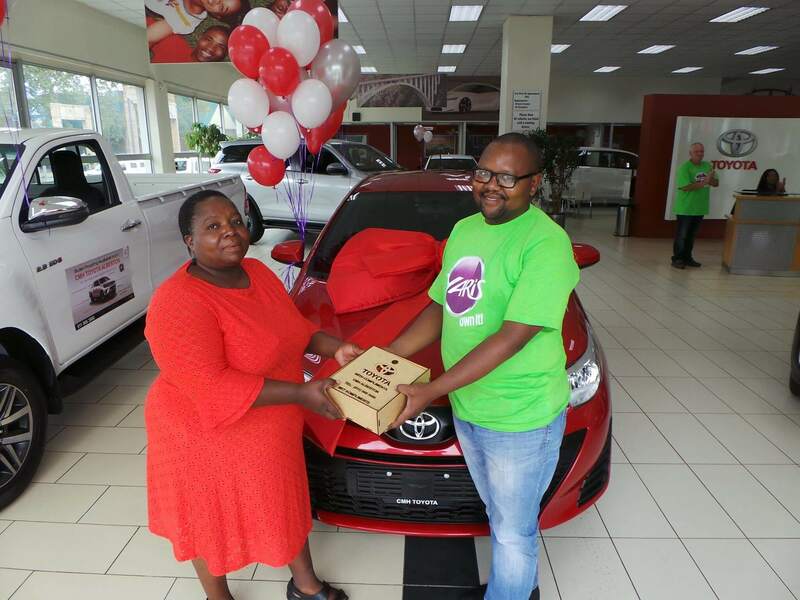 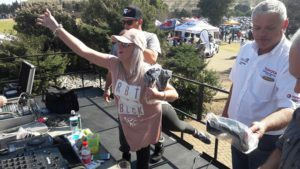 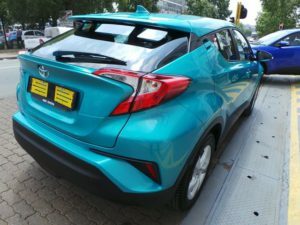 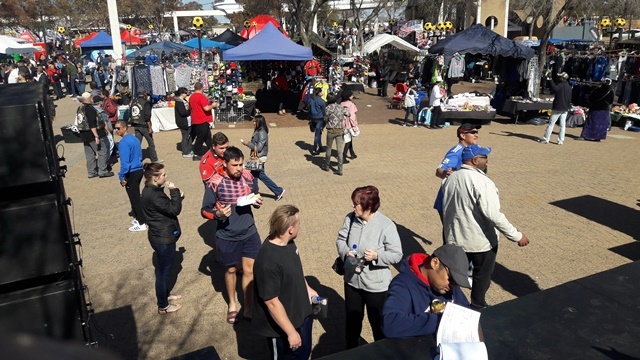 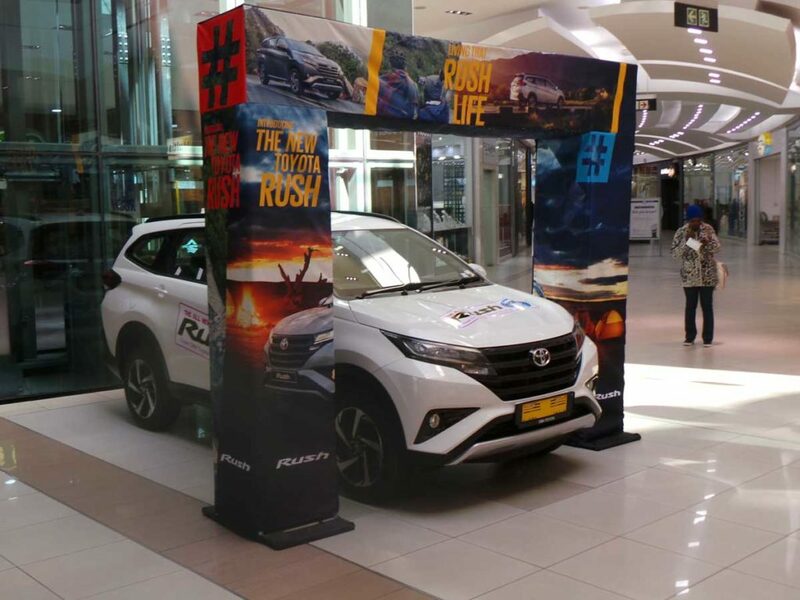 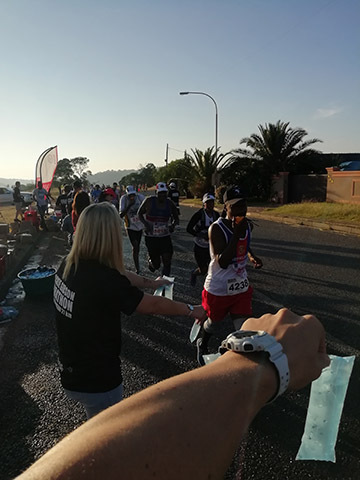 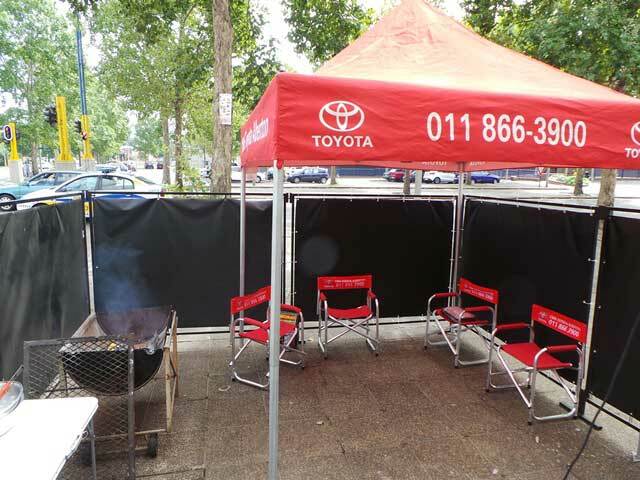 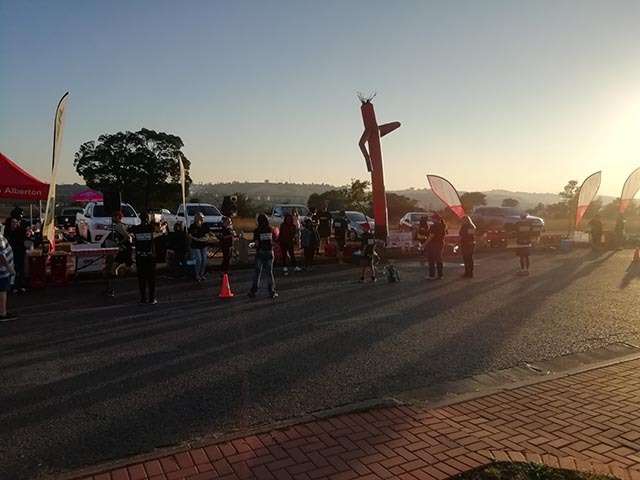 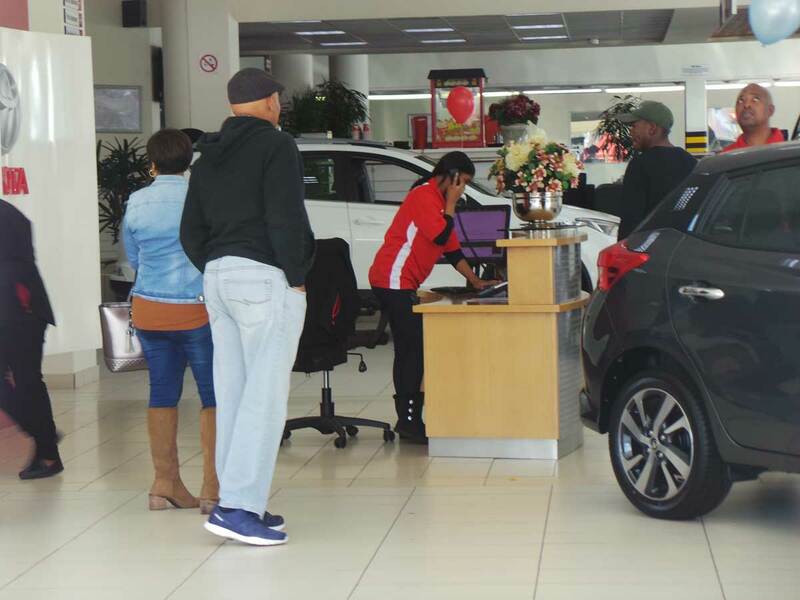 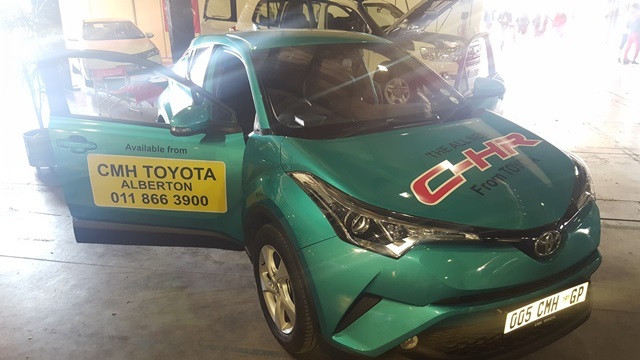 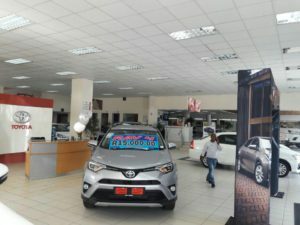 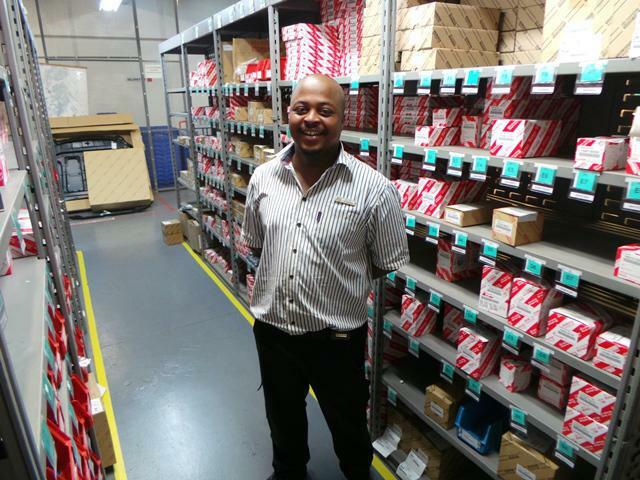 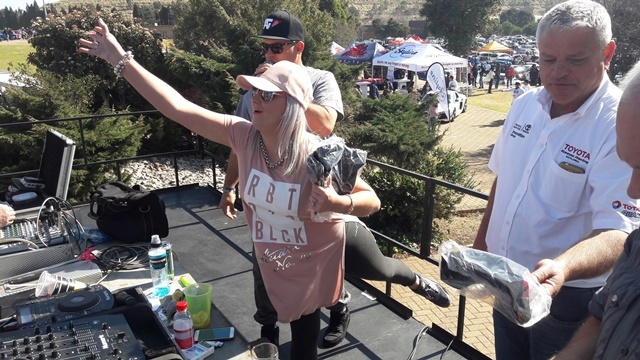 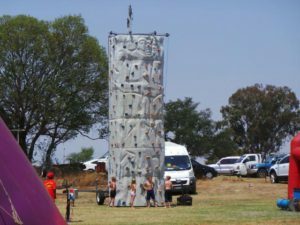 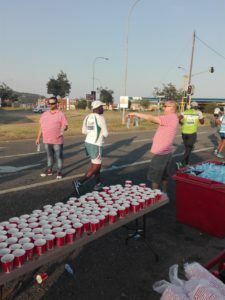 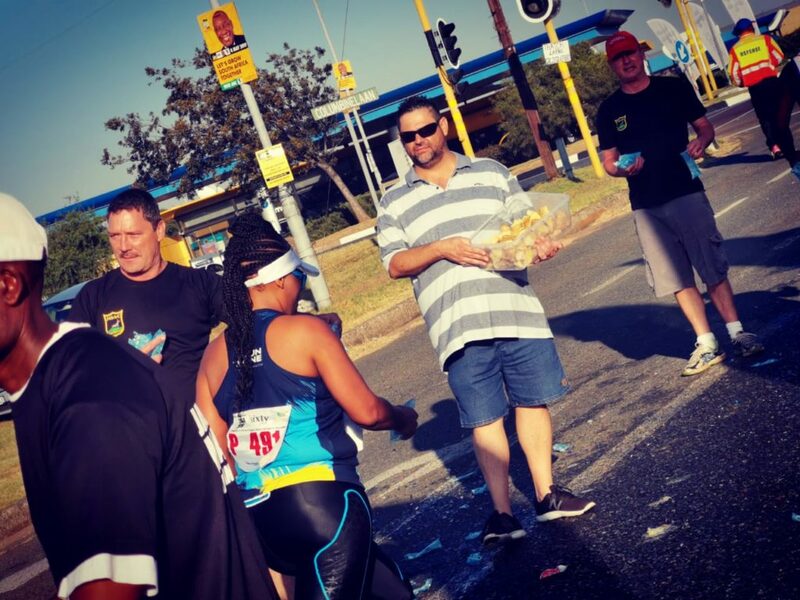 CMH Toyota Alberton would like to thank them for always giving them the opportunity to be part of their events and to be able to donate for a good cause. Dakar 2017 drew to a close in the Argentine capital of Buenos Aires, after Stage 12 of the world’s toughest motor race. 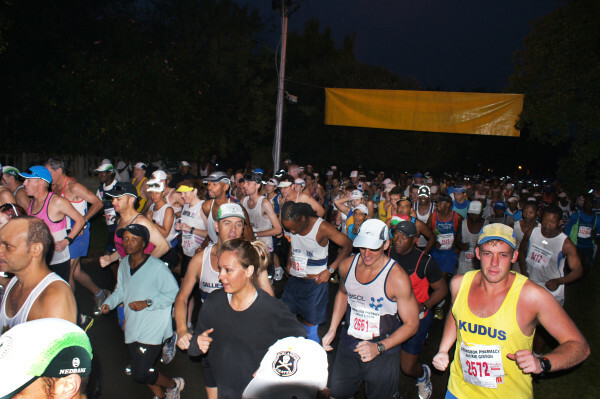 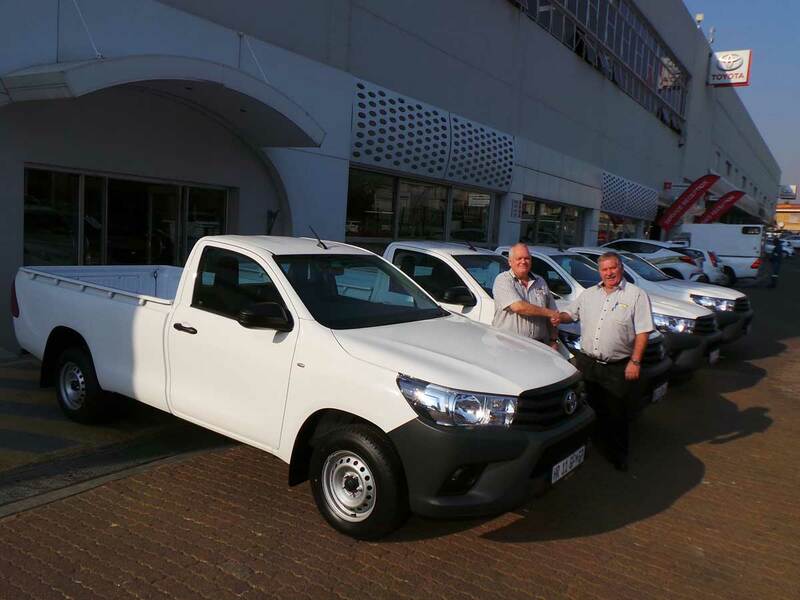 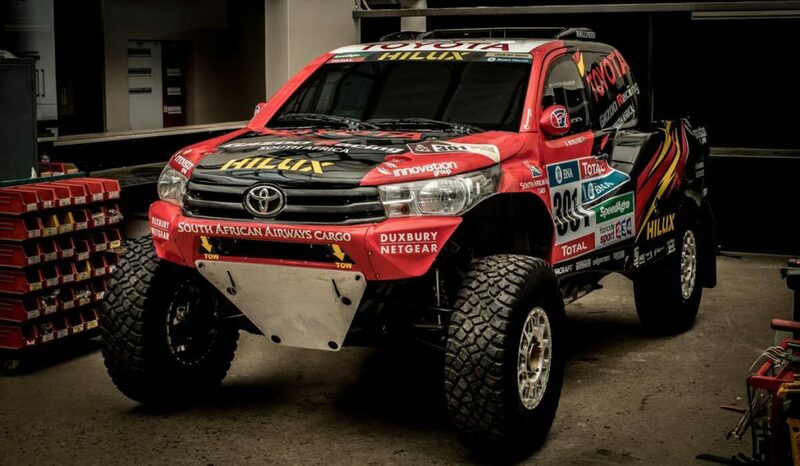 The event, run over thirteen days in Paraguay, Bolivia and Argentina, saw three SA-built Toyota Hilux race vehicles finish in the top 10. 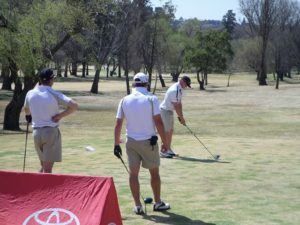 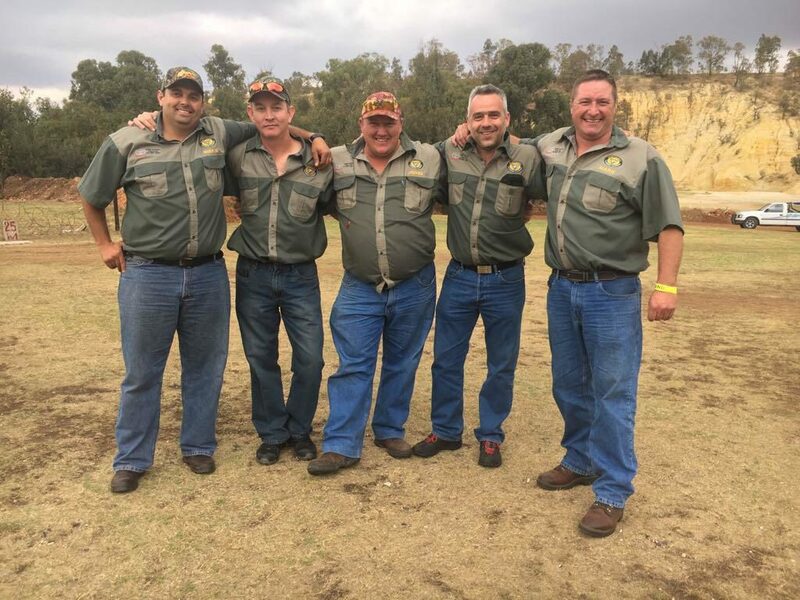 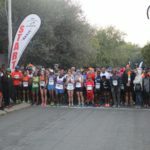 Nani Roma and navigator Alex Bravo (#305) were the top-placed Toyota crew finishing fourth, while newcomer Conrad Rautenbach and navigator Rob Howie (#320) finished in ninth place overall. It was an up-and-down event for Toyota Gazoo Racing SA’s Giniel de Villiers and navigator Dirk von Zitzewitz (#302), who trailed Stage 12 winner, Sebastien Loeb (Peugeot) by just 30 seconds on the final stage of the event, posting the third-fastest time of the day. 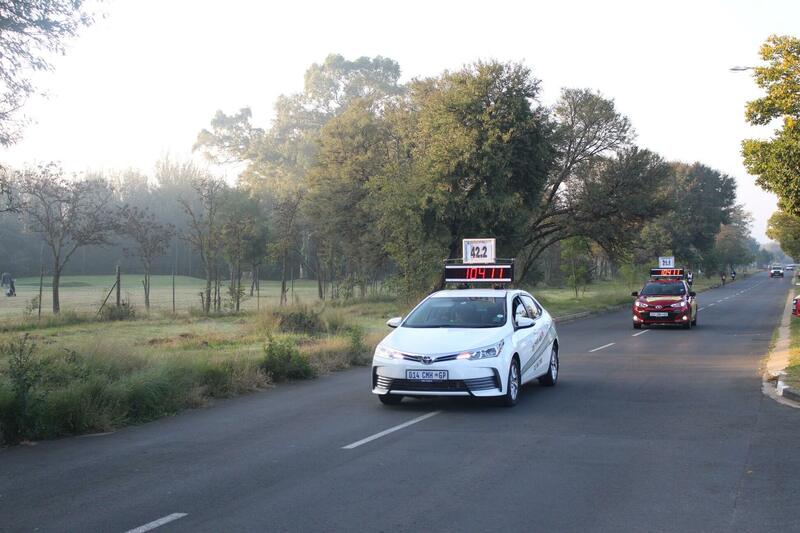 In the end, this was more than enough to hold off Orlando Terranova (MINI), who mounted a late charge to challenge De Villiers/Von Zitzewitz for their fifth position in the overall standings on Stage 11. 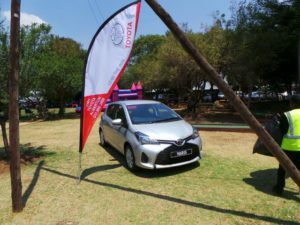 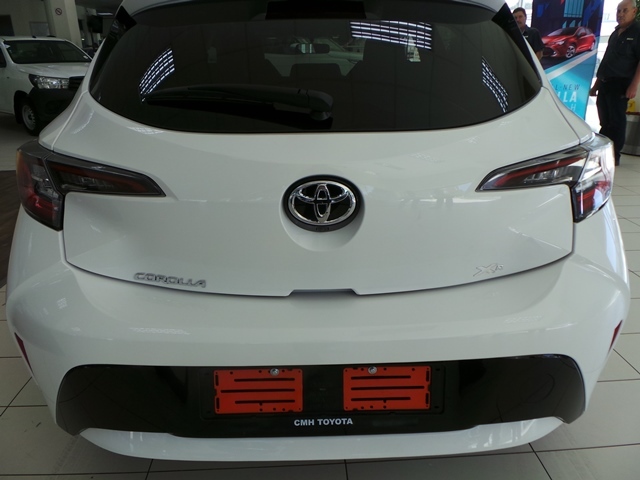 Toyota Gazoo Racing SA started the 2017 edition of the iconic motor race with a charge. 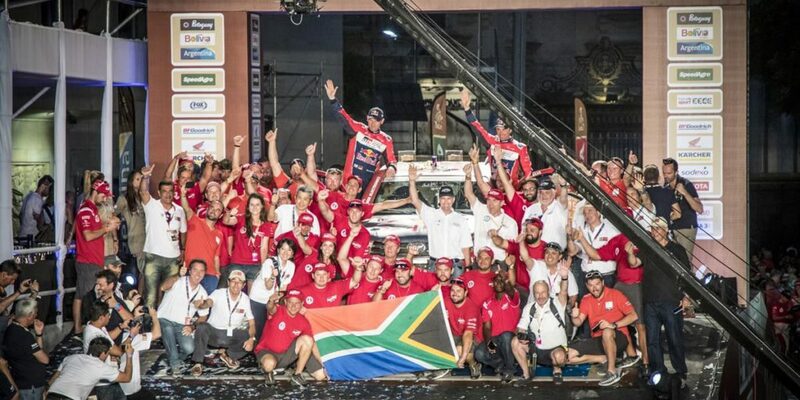 Qatari driver Nasser Al-Attiyah and French navigator Mathieu Baumel won the short opening stage of the race convincingly, while De Villiers/Von Zitzewitz recorded the fifth-fastest time on Stage 1. 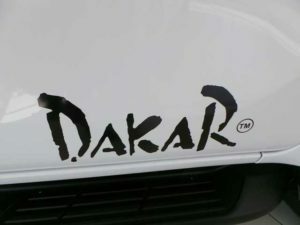 This set both crews up perfectly for the first true Dakar stage. Stage 2 brought the expected fireworks, with Al-Attiyah/Baumel leading the stage for extended periods, before settling for the second-fastest time on the day. 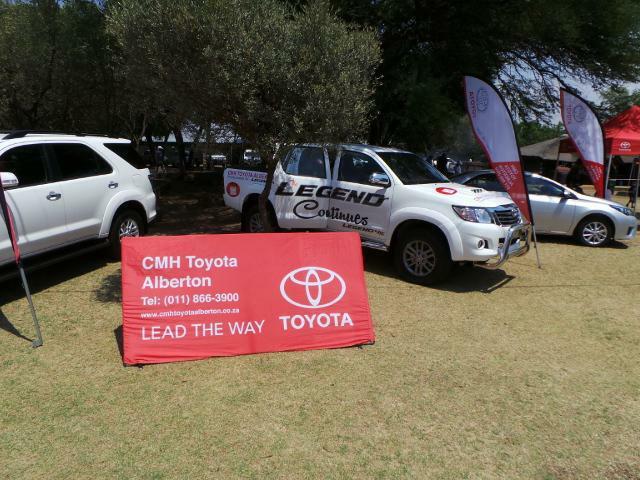 De Villiers/Von Zitzewitz maintained their position, finding their stride and giving the Toyota Hilux a great outing. 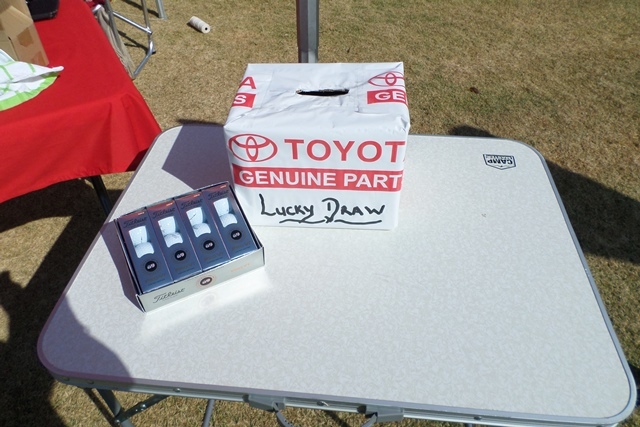 But then came Stage 3, and massive disappointment for Toyota Gazoo Racing SA. 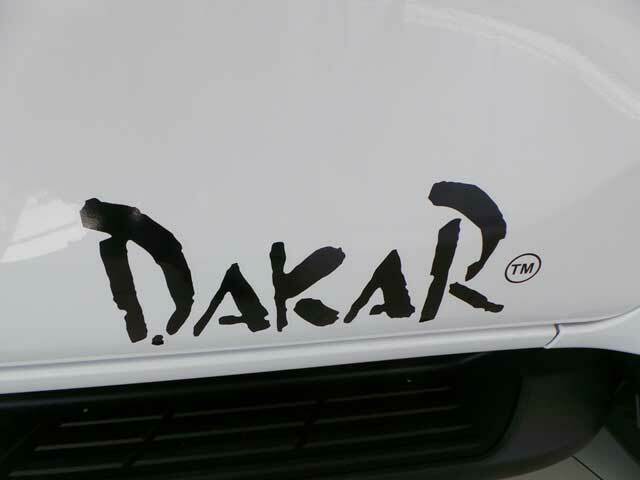 Al-Attiyah/Baumel started the day with vigour, and set the pace through most of the long and tricky stage. 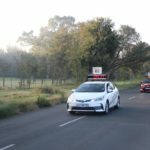 They looked set to record a second stage win for Toyota on Dakar 2017, but the Dakar gods had other plans. 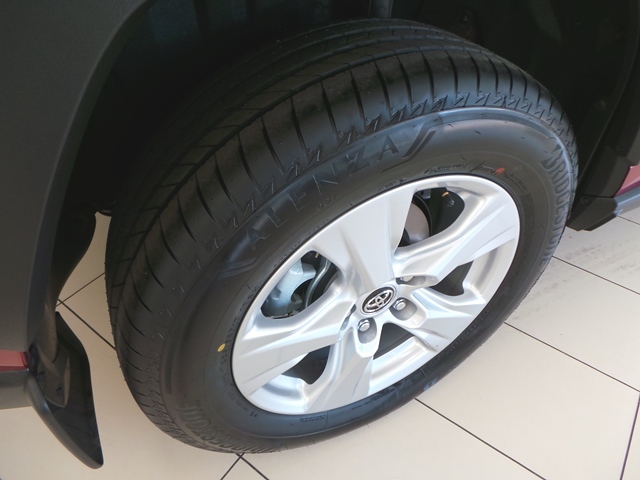 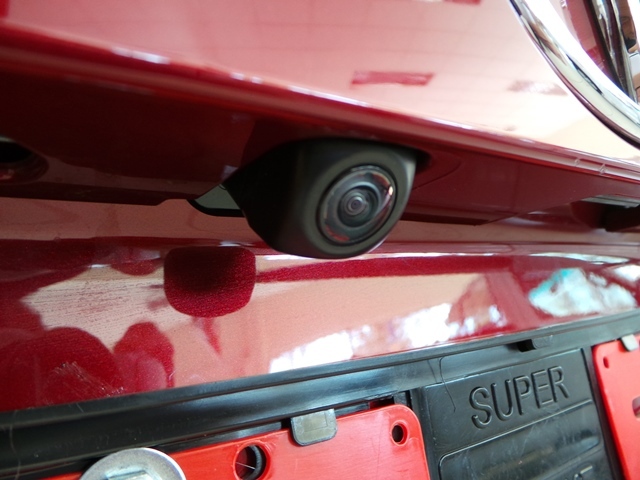 The Qatari driver ran wide near the end of the stage, and a jagged hole on the side of the road ripped the right rear wheel from car, severely damaging the suspension in the process. With Al-Attiyah/Baumel out of the race, all attention shifted to De Villiers/Von Zitzewitz, as well as fellow Toyota crew Nani Roma and navigator Alex Haro (#305). But Stage 3 also brought disappointment for De Villiers, who last won the race in 2009. 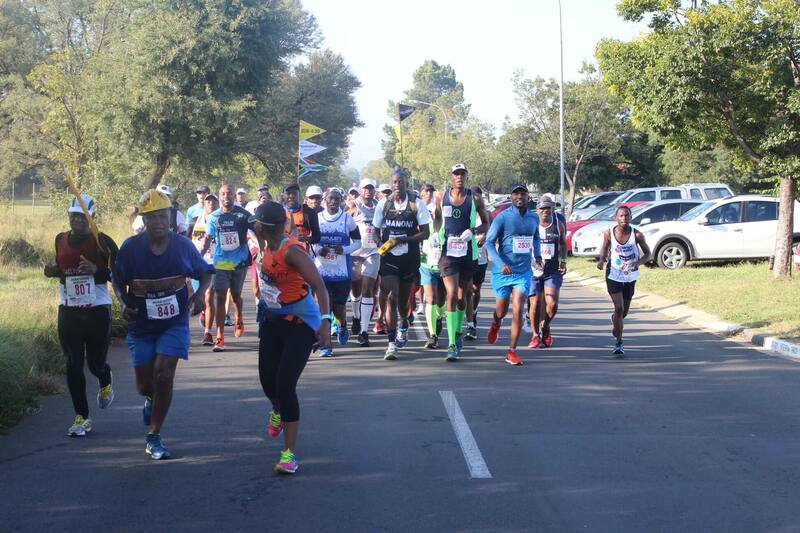 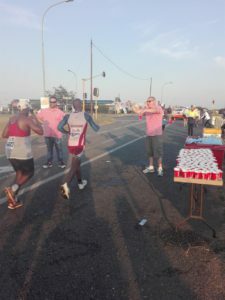 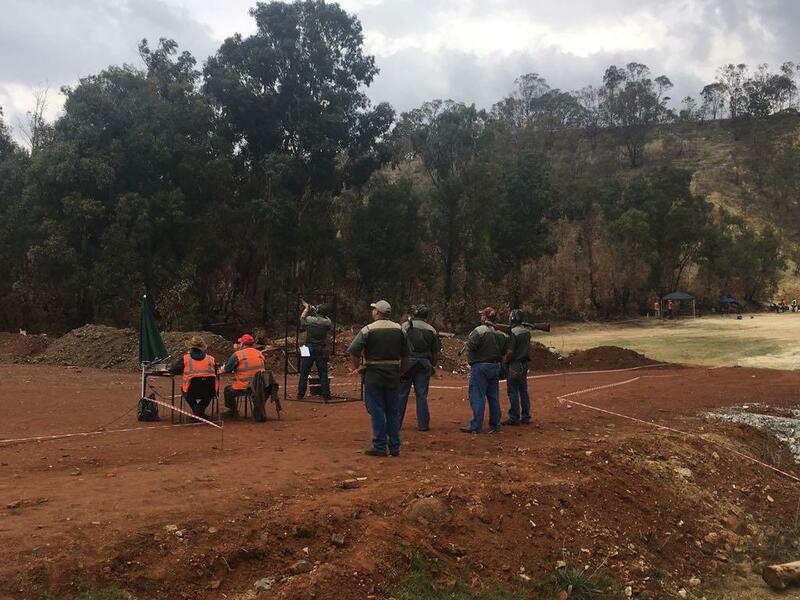 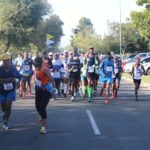 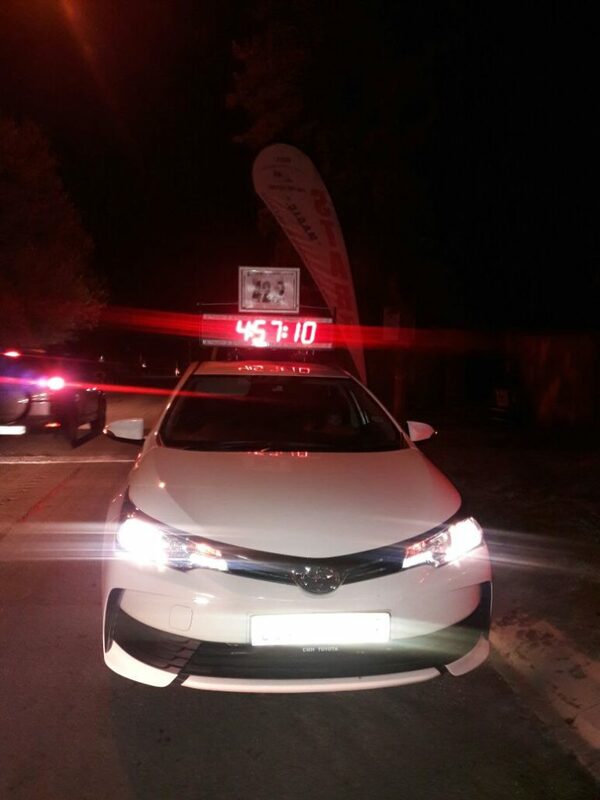 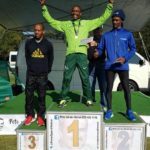 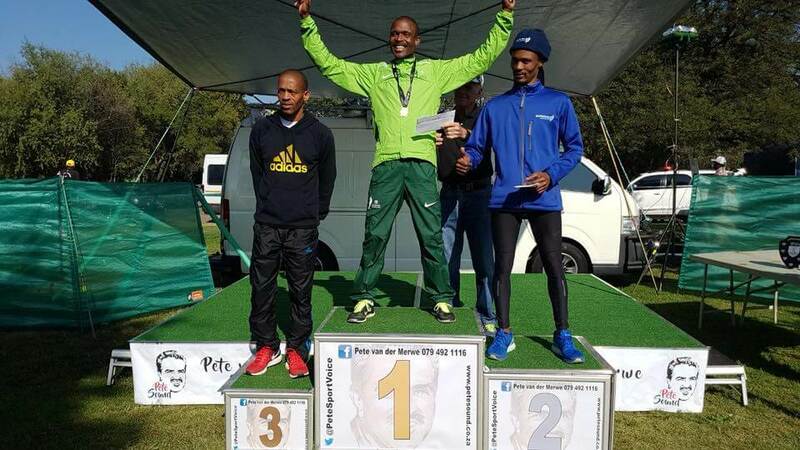 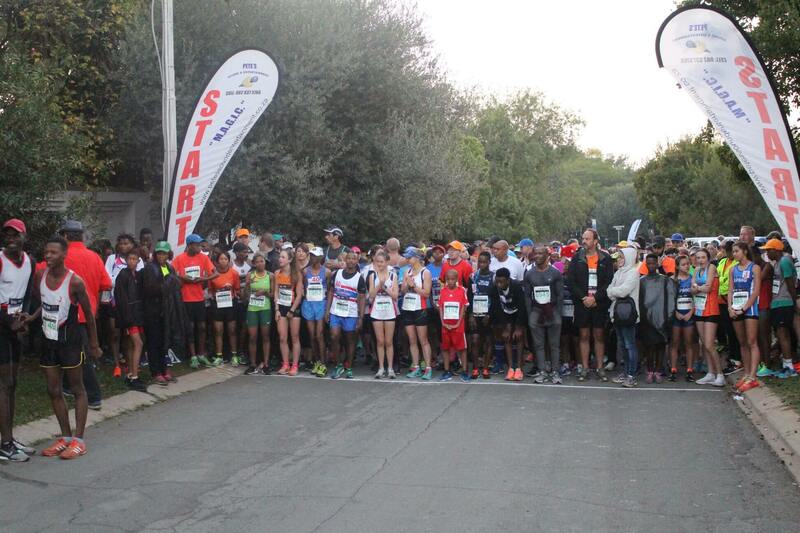 The plucky Stellenbosch boy was putting in a solid performance until a fuel pressure problem halted his charge. De Villiers/Von Zitzewitz were forced to stop and work through the problem, eventually losing the best part of thirty minutes in the process. 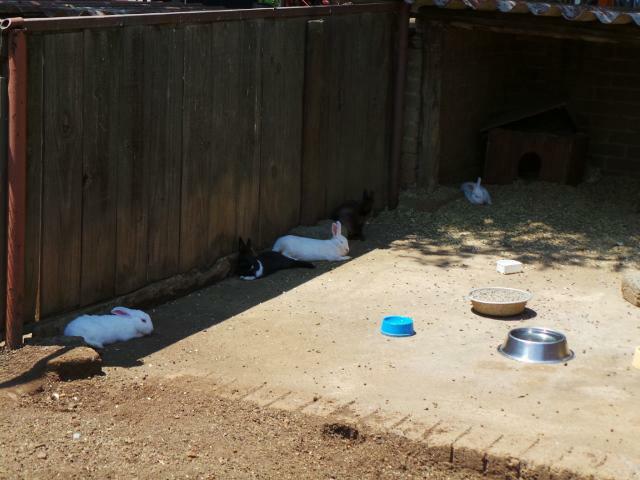 This tumbled them down the order, and it was an uphill battle from there. 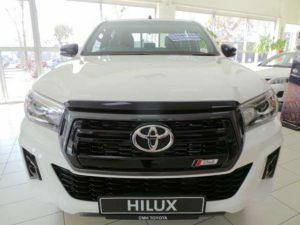 At the same time, the extreme altitudes of the Bolivian Altiplano counted against the normally aspirated Toyota V8 engines, and route director Mark Coma’s latest route truly tested the navigators as much as the drivers. 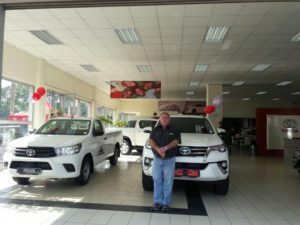 “To us at Toyota South Africa Motors, taking part in the Dakar is the ultimate showcase of the legendary reliability and toughness of the Toyota Hilux,” explained Calvyn Hamman, Senior Vice-President of Sales and Marketing at Toyota SA Motors. 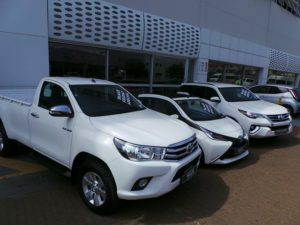 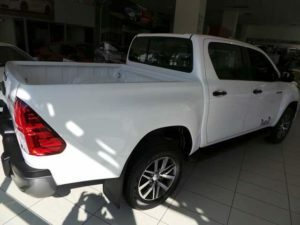 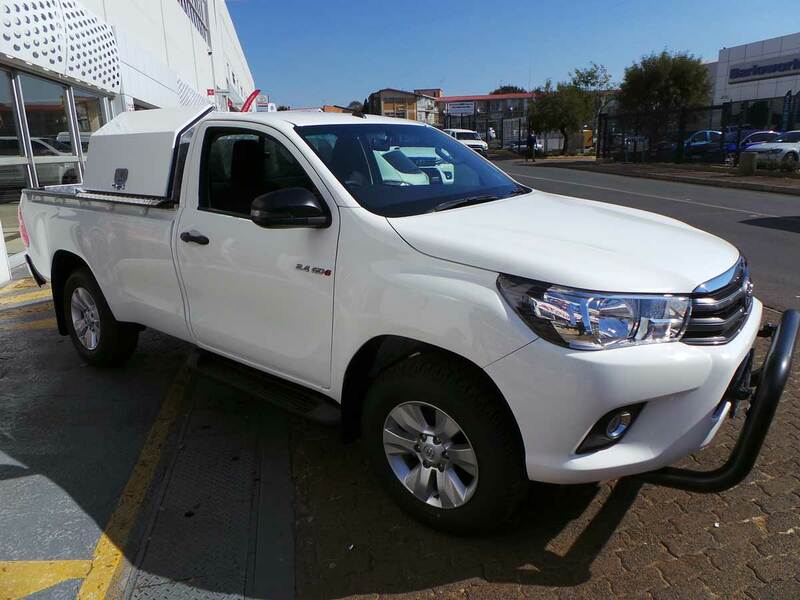 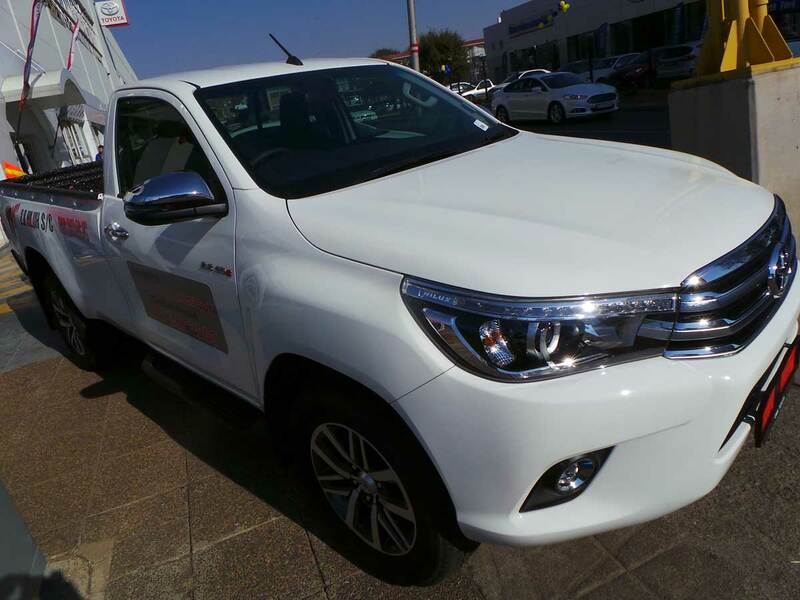 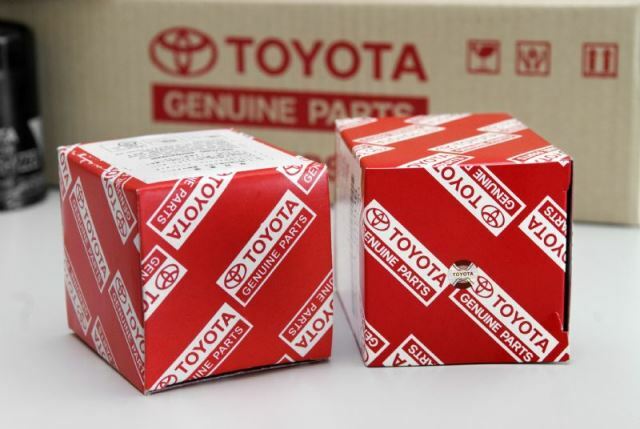 In addition to the three Toyota Hilux vehicles in the top ten, 24 other similar vehicles completed the race – more than any other manufacturer.